OK, you wonderful students, time to do your part! We want to catch you up on what's going on with Ghana Together/Western Heritage Home efforts in the Axim area of Ghana. 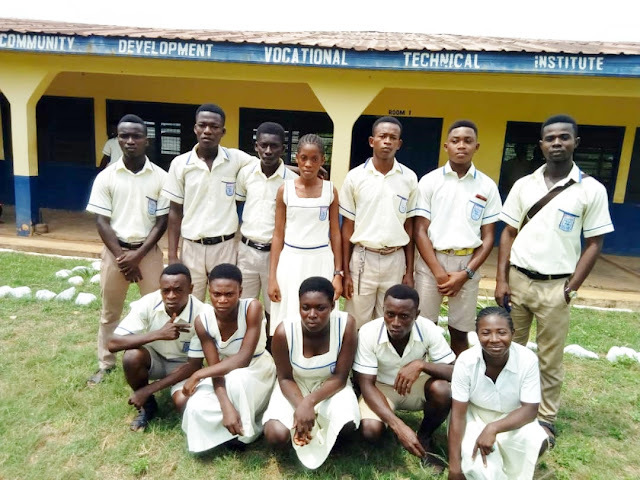 As of this second term in Ghana’s 2018-2019 school year we have 74 students on scholarship. We support 40 Primary level P4-P6 students at Apewosika Village School (Christ the King). 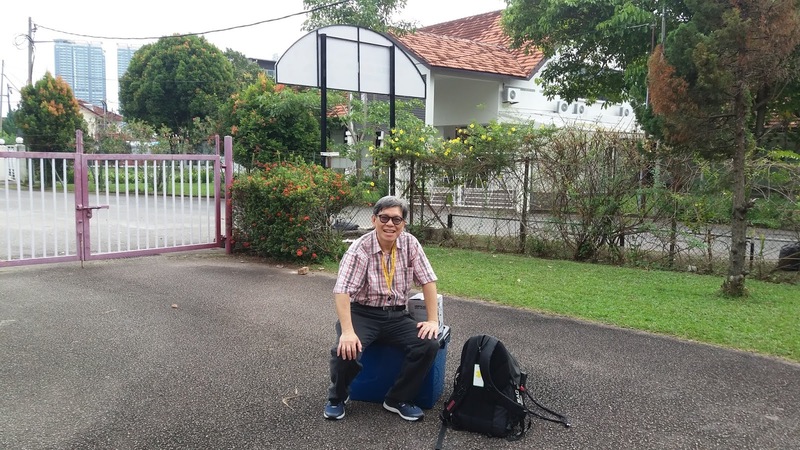 The school is a private school, in a pretty isolated fishing area, with no government school within reasonable walking distance for primary school kids. We support what in the US would be 4th-6th grade students because typically, as families send younger kids into kindergarten and early grades, they can’t afford to pay tuition for all their school-age children. 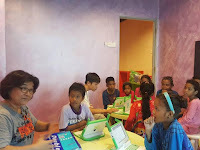 So, around P4, these older kids---who now know the basics of reading, writing, and arithmetic---often must leave school for financial reasons. The boys go with Dad to help with fishing and the girls to the markets with Mom or help with younger siblings at home. We want these CTK students to achieve P6 at a minimum. At that level, they are functionally literate and numerate, not only for work and general adulthood life, but also to participate as citizens in a democracy---read ballots, understand banking, communicate with family and friends via written cellphone messages, pass their skills on to their own children, etc. So, we work with leaders there to select those students who are vulnerable to dropping out because of their family's financial struggles. 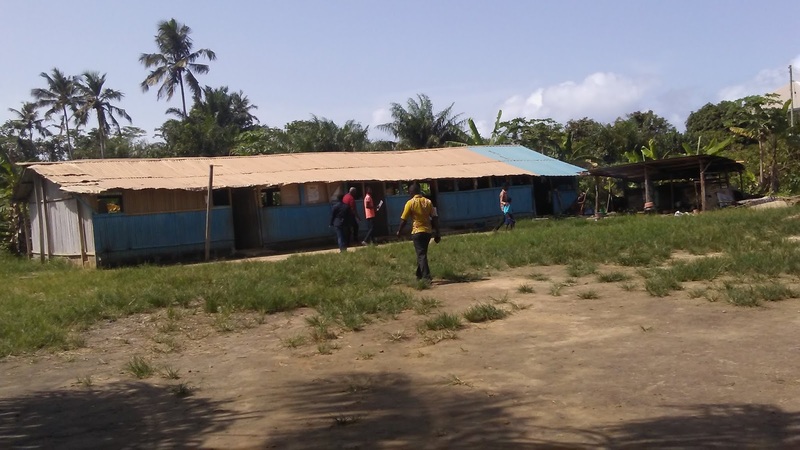 We support 15 primary students at Maako School, another very isolated private school serving an ocean-side fishing community. At Maako, leaders choose students of any age/grade whose fathers are away fishing most of the time, all along the West Africa Atlantic Coast. The moms come into the school every few days with small amounts of money garnered from their cassava and other crops to pay "school fees." 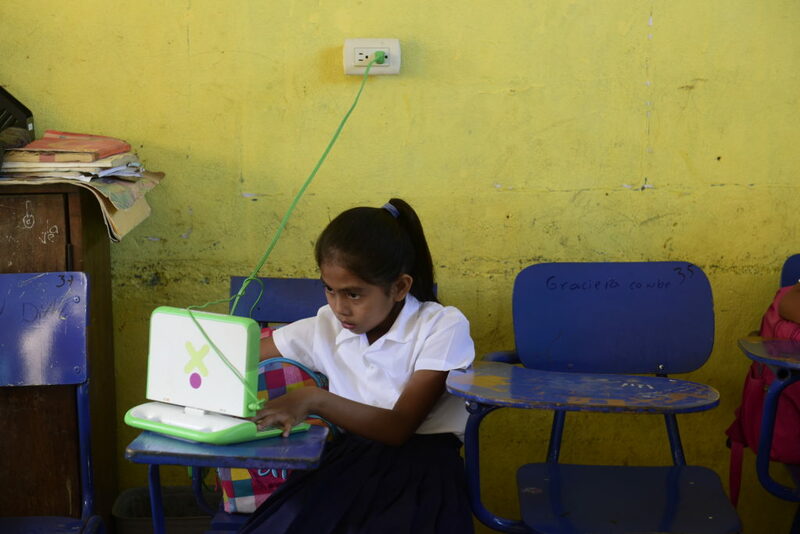 They struggle to keep their precious children in school--their highest priority after basic food needs. Our Western Heritage Scholars Ben and his sister Gladys Quayson continue in upper primary at Manye Academy. They are orphaned, and we provide not only tuition but room/board and basic health/hygiene necessities and small pocket money. We give heartfelt thanks especially to Headmistress Felicia Attah for all her help for so many years with so many WHH Scholars, especially these two. 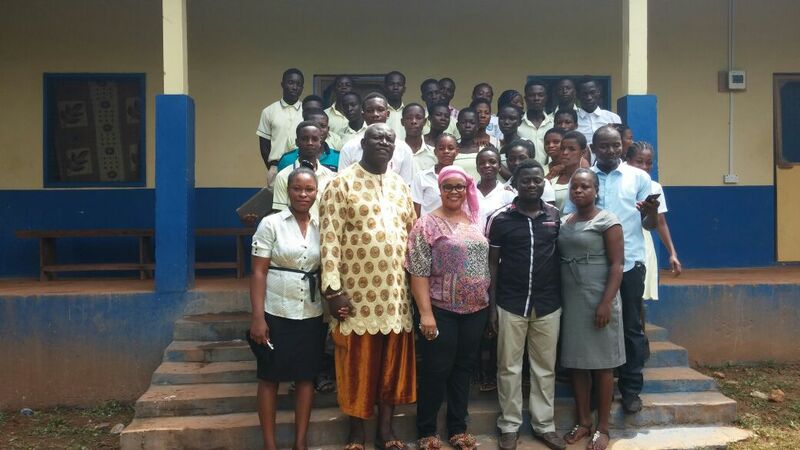 We support 12 students at the Community Development Vocational/Technical Institute in Axim. 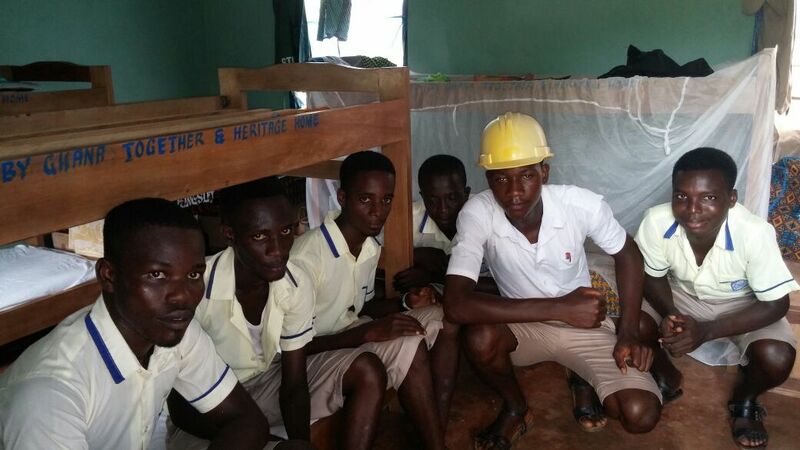 CDVTI trains young men and women of high school age and older in various vocational trades, such as hairdressing, catering, home management, business skills, computer tech, electrical, welding, construction, etc. They recently added these last three programs which appeal more to guys, so to encourage that program, we've sponsored a few more guys than gals this year. 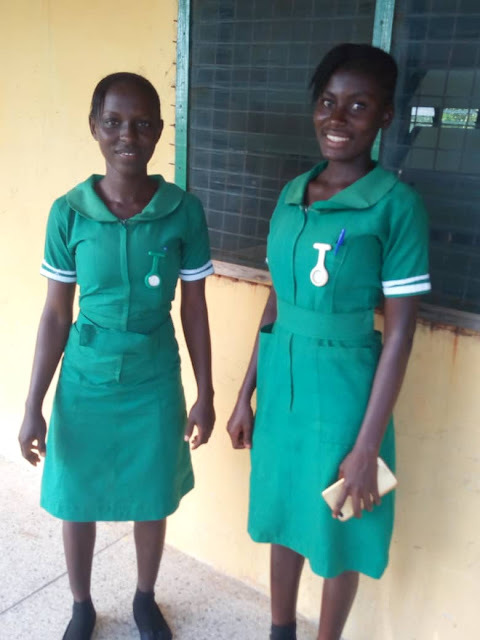 Two of our Western Heritage Home Scholars---Charlotte Armah and Philomena Mensah---are in their second year of nurses training at Asanta Nursing/Midwifery College. 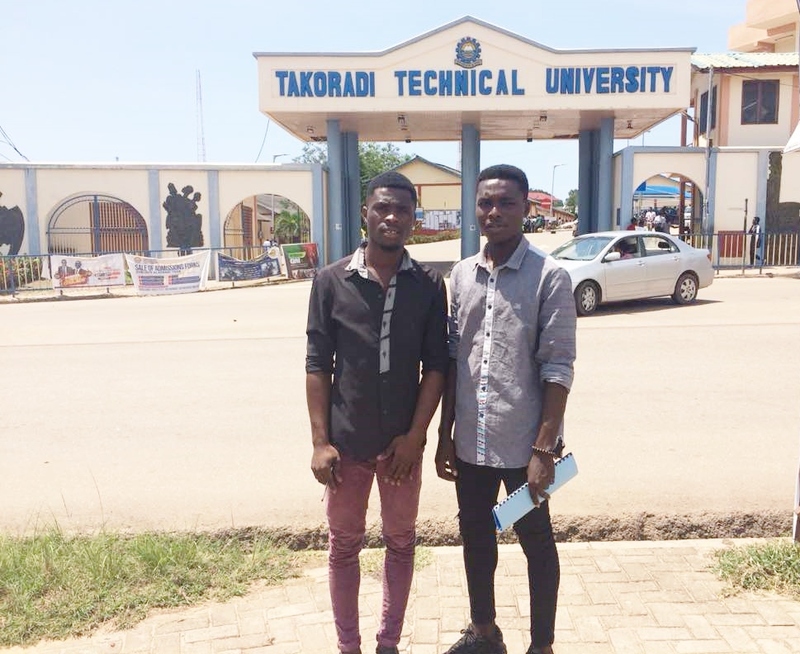 And two of our WHH guys are at Takoradi Technical University---Larmine in welding, and Peter in computer science. Emmanuella Dein is now in her final year of Ghana National College's special senior high school program for functionally blind students, such as Emmanuella. She is thriving, both academically and musically as part of the school choir. 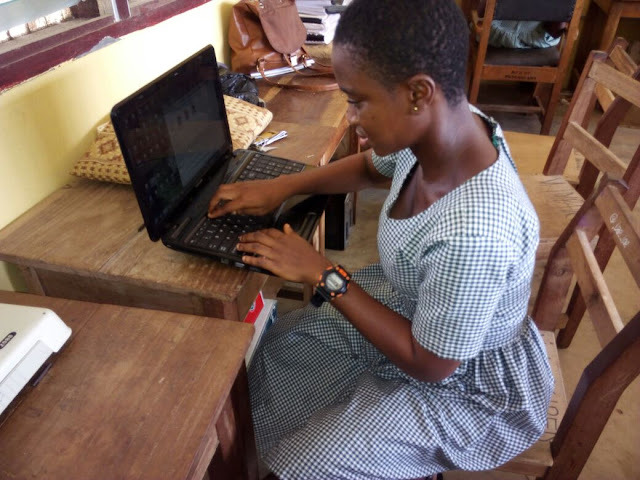 She has worked so hard and the College has done a wonderful job helping her, a functionally blind student, achieve her goals! 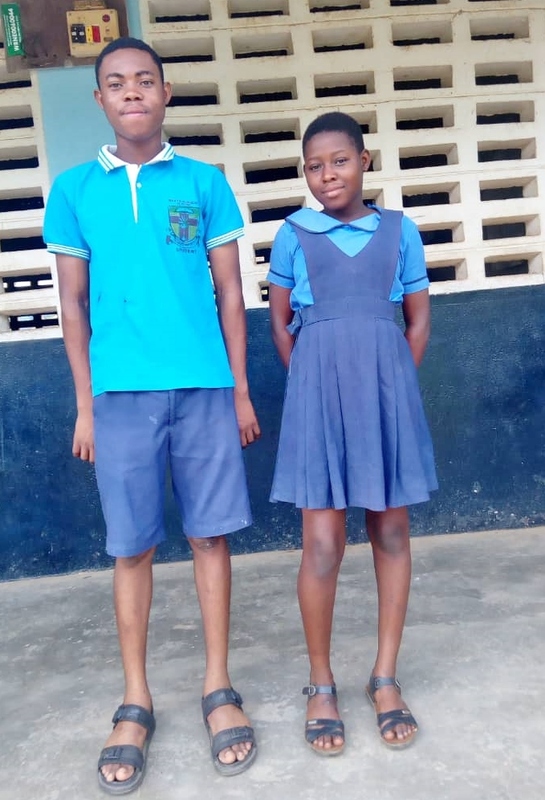 We thank Kathryn Roe, of Anansi (and of Bellingham, WA), who also sponsors students in GNC, who has visited Emmanuella from time to time and kept up with her progress, since GNC is in Cape Coast, and distant from Axim. 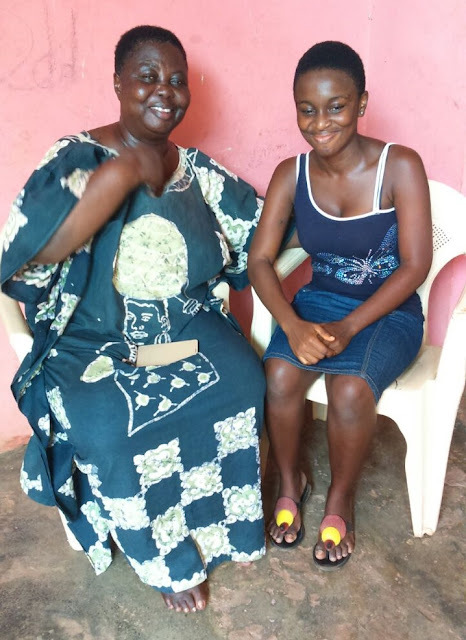 We show Emmanuella with her wonderful Queen Mum, Axim Queen Mother Nana Adjou Sika, who we lost late last year. Nana loved Emmanuella, and "mothered" her for years, emotionally and with some "tough love", too. What a loss to the entire community, especially the young women. We are so glad she lived to see Emmanuella well into finishing senior high! We are proud of every one of you students! Western Heritage Home joins us in saying we are so totally grateful for all the folks who have helped us with donations. Sometimes we get emotional, wondering how it is people can be so generous and caring for students so far away! 10 Years Today on Christmas Eve: What's Next? Christmas Eve 2008. I hurried down to the Oregon store in Shatin to collect my XO laptops. 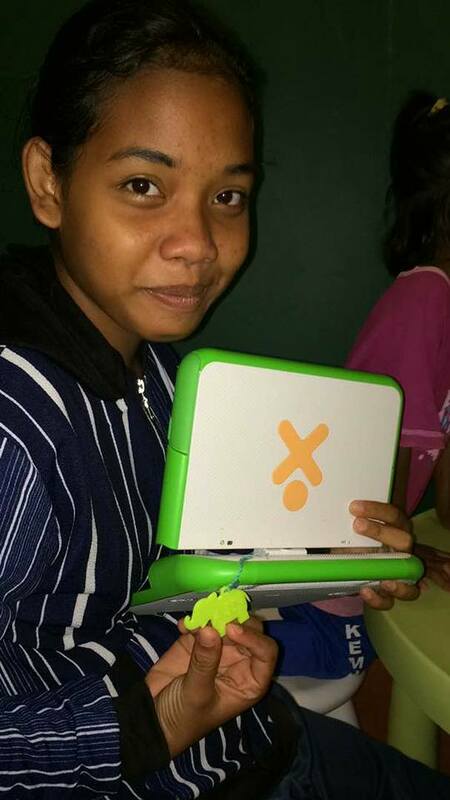 At the cost of HK$3,380 (the price of two XOs) I was able to own one, while donating another XO to a child somewhere in the world. 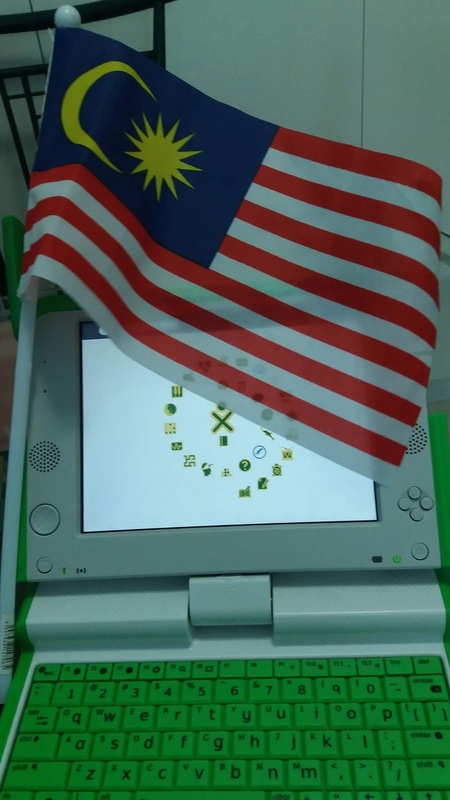 OLPC Asia has come to town recently as a registered charity organization to raise fund with this Give 1 Get 1 (G1G1) laptop ownership program. I remember two months earlier I made a birthday wish to own this little green laptop after discovering it on the web. My hope was to kick a little joy back to my life with a new toy. Now I have one! Back home, I unpacked and taught myself how to use it while instructing my mother-in-law how to operate it . She was my main donor and her first encounter with the XO was captured in video on Christmas Eve,2008. Ten years later today, I am in a reflective mood. 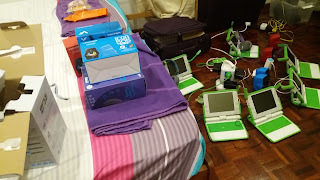 It has been quite a 10 years journey for me with the XO especially in my professional life as a Clinical Psychologist, since I could breakout the 4 walls of therapy room into the world of child development and technology. 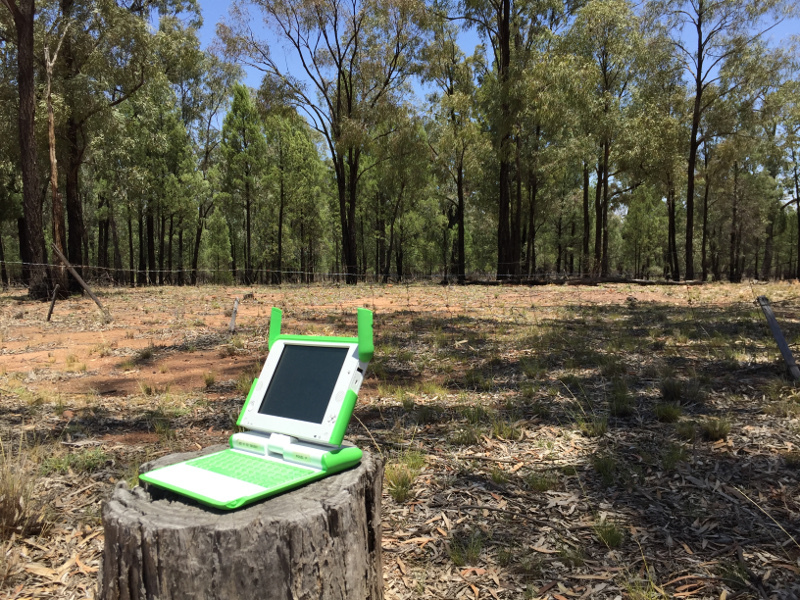 Today with the widespread availability of smartphones and tablets, the XO relevance as rugged and low powered computing for children is unique for me and children. 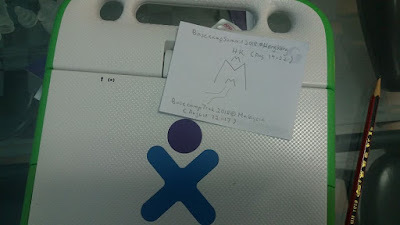 Since our last Basecamp2013@Malacca where we discussed the XO future, there has yet to be another innovative one in all solutions as in the XO. 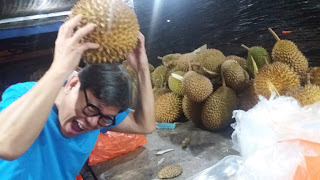 I recently came back from Malaysia after 2 weeks of followups on small deployments in various settings. The first generation XOs-1 that are 10+ years old are still functioning and recycled into the field. 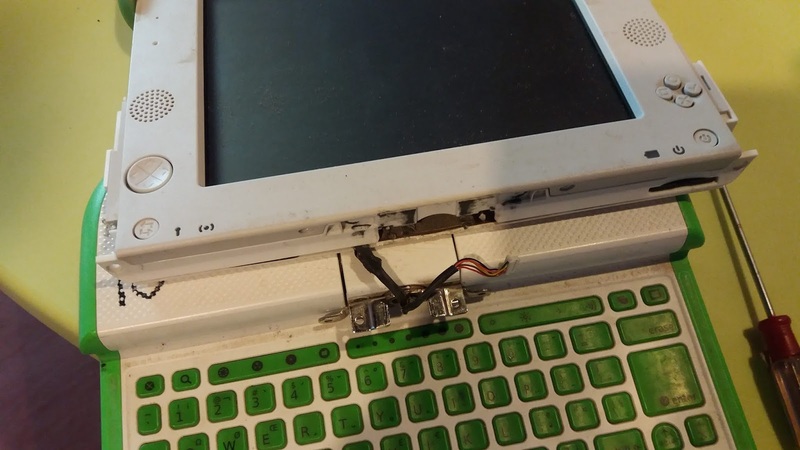 XOs that are deployed in harsh environment like are still operating despite missing screws and broken screens. 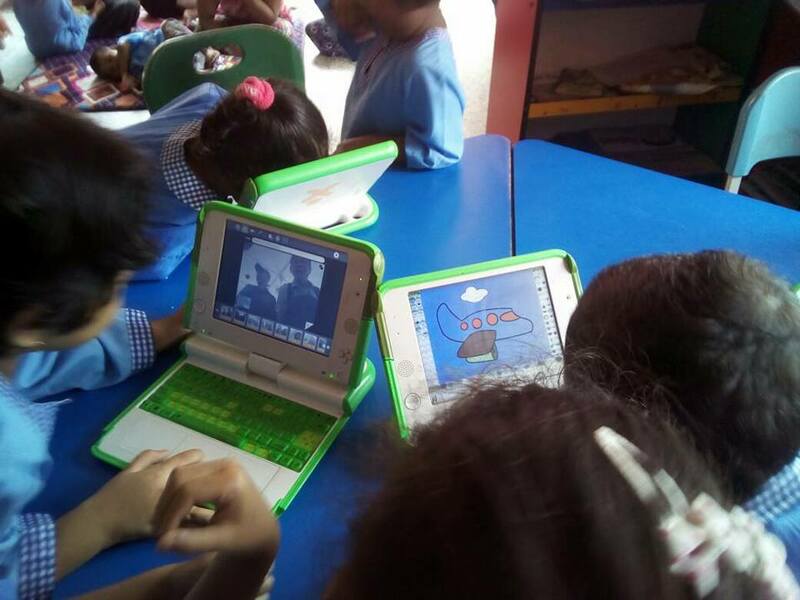 I retrieved a number of SD cards that has 2 years history usage and digital portfolio of children to study. 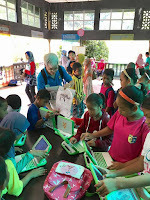 As I demo the XO for urban parent with children, they still see a role to counteract the mindless digital play of children growing up in the Apps world. The right screen time with the right tools matter today since there is a backlash from issues of devices common today. What's next? It may still follow me for another decade. 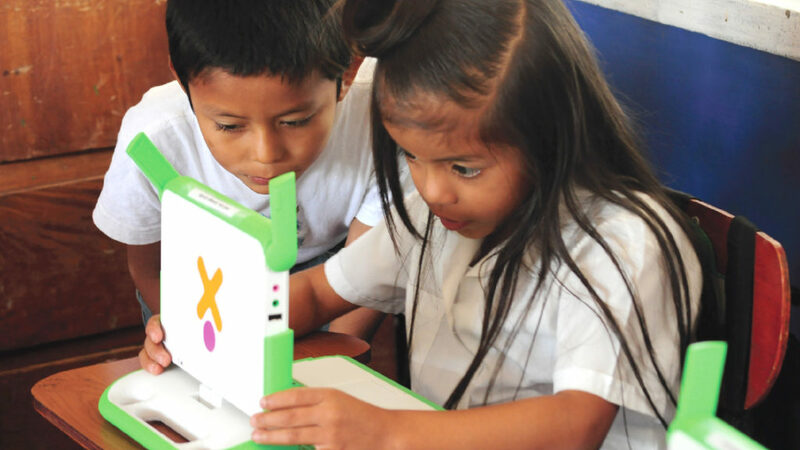 The XO will still provide the dLEAP for learning in an upside down world. If I outlived the XO, I will reflect in a Christmas Eve 2028 blog entry. However in the present, the XO is like the King of Fruits, Durian - either a +1 or -1 for your senses. Ghana Together supports education. Let’s not stop now! To help us in 2019...go here! 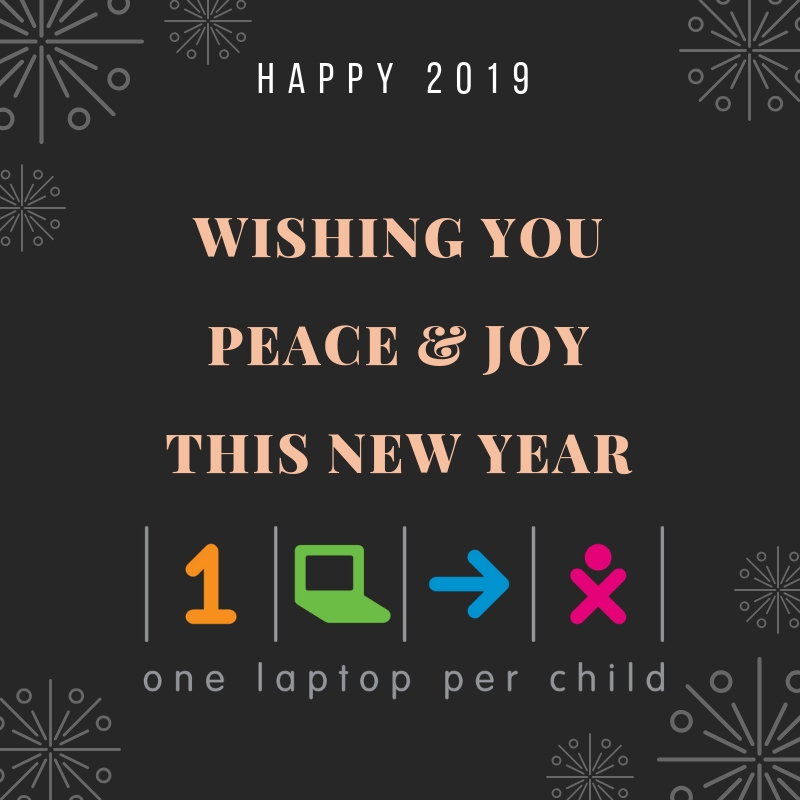 During 2018 we supported so many students in one way or another. Here are many of them! 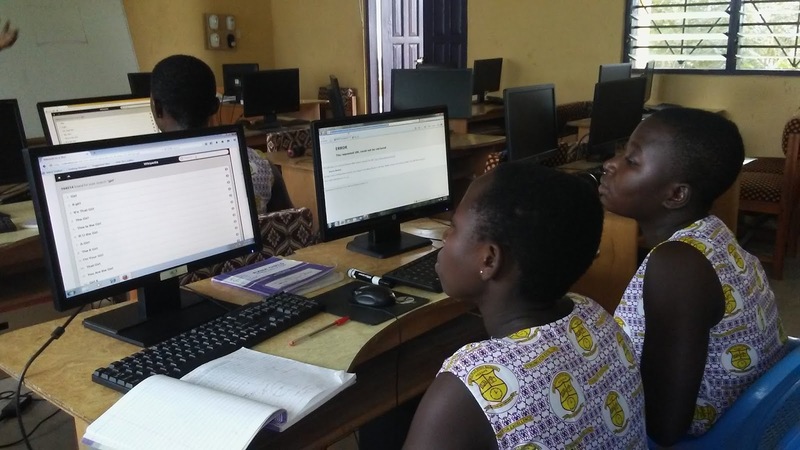 779 students paid a small fee and are now registered Axim Public Library members. Thanks to the mobile library serving 17 schools, they checked out at least 10,000 books 2018. 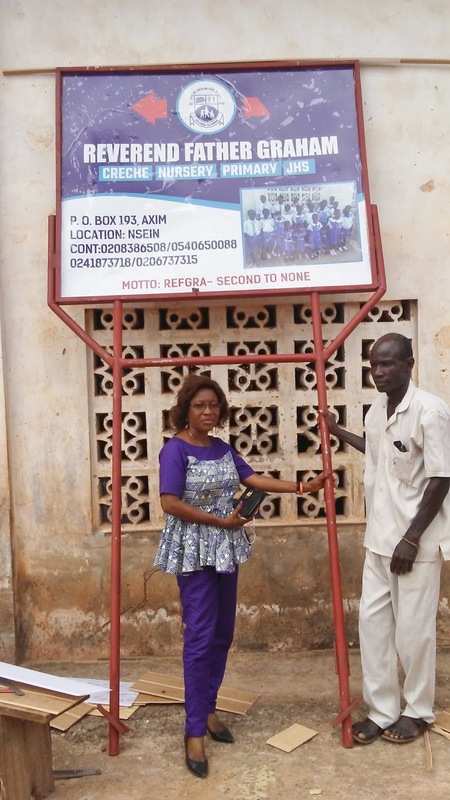 The Axim Public Library has 969 more books now than they had in 2017. 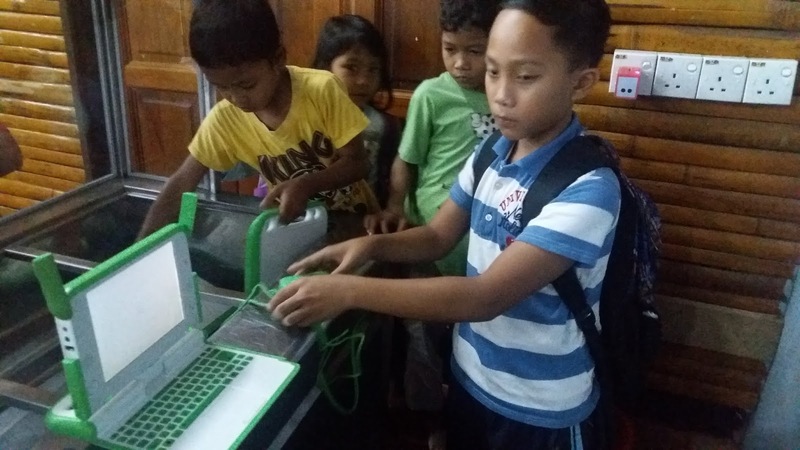 The library’s computer labs, for both children and adults, are running, thanks to help with electricity and a new printer. 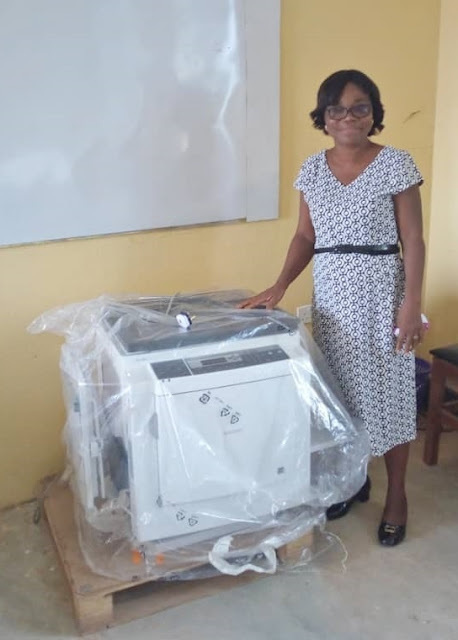 Some 400+ senior high girls are learning more with Internet-in-a-Box, science and math videos, and a new printer/copier to help out their teachers. 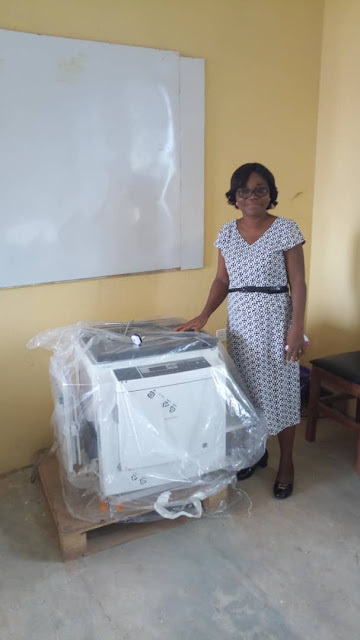 Several hundred nursing students have up-to-date medical information, thanks to the Wiki-Med “internet-in-a-box” type devices installed in two nursing schools. 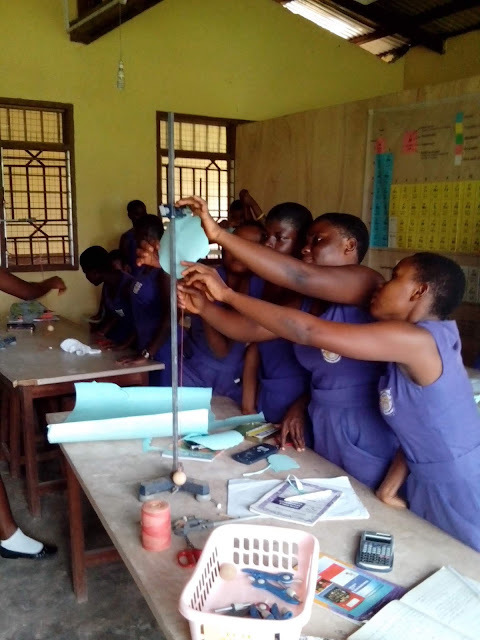 We wish we could magically transport all of our generous supporters to Ghana so you could visit these schools, talk with the students, and get a sense of the energy and enthusiasm they share! Dorothy's graduation photo says it all!! Making Leaders of the Least! 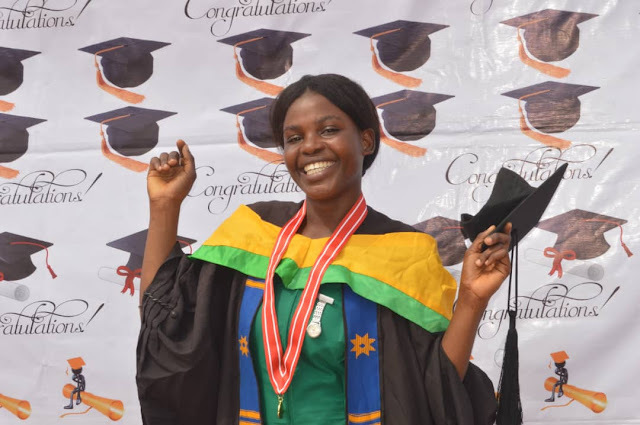 This very morning, in Takoradi, Ghana, Western Heritage Home Scholar Dorothy Armoo formally went through her graduation from Asanta Nursing/Midwifery College and her induction ceremony into the Ghana National Health Service. She is now a certified professional nurse! Dorothy has been "one of ours" since 2006. She was a child who needed a home. Western Heritage Home Chairman James Kainyiah found her and brought to live at their Children's Home. She became a "Western Heritage Home Scholar". She learned to spell her name! She attended nearby Manye Academy. She graduated from Nsein Senior High School. Her dream from when she was a small child was to become a nurse. And she has achieved her dream! 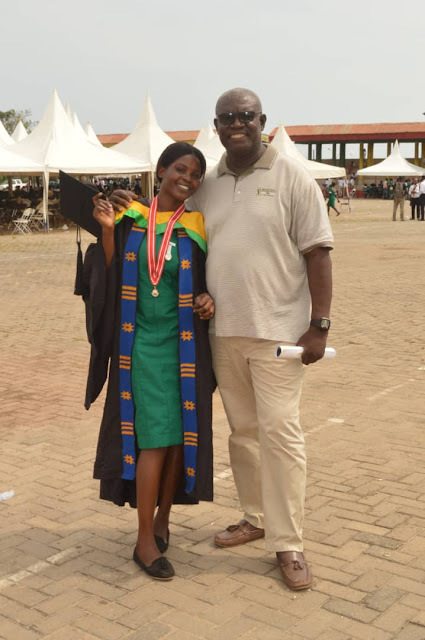 James Kainyiah and Dorothy after her graduation ceremony. He is the proud "father," having provided overall care for her for so many years! Western Heritage Home's motto is: "Making Leaders of the Least." And Dorothy is a prime example! Ghana Together has worked hand-in-hand with WHH to support Dorothy for many years. We especially thank her "special sponsor" who has been so faithful. Dorothy herself worked as a kindergarten teacher for one year, while she waited acceptance into nursing school after graduating senior high. And she's been supporting herself as part of the Lou Moon Lodge cleaning staff for a few months between end of classes and today's formal induction. Now she awaits assignment to her national service post. Congratulations Dorothy! We are proud! 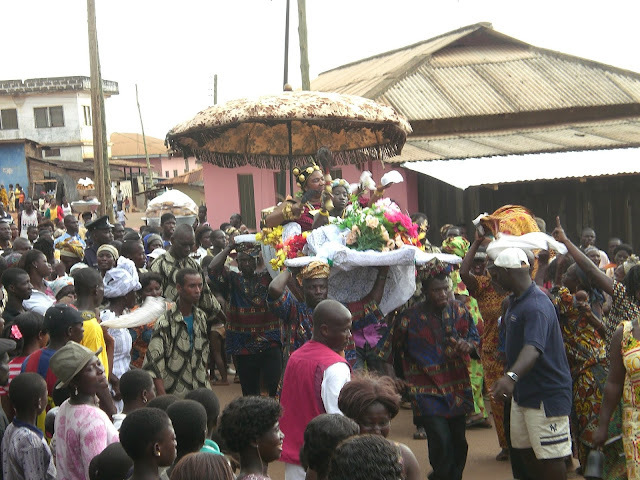 We sadly say good-bye to Queen Mother Nana Adjow-Sika, who passed away last week. 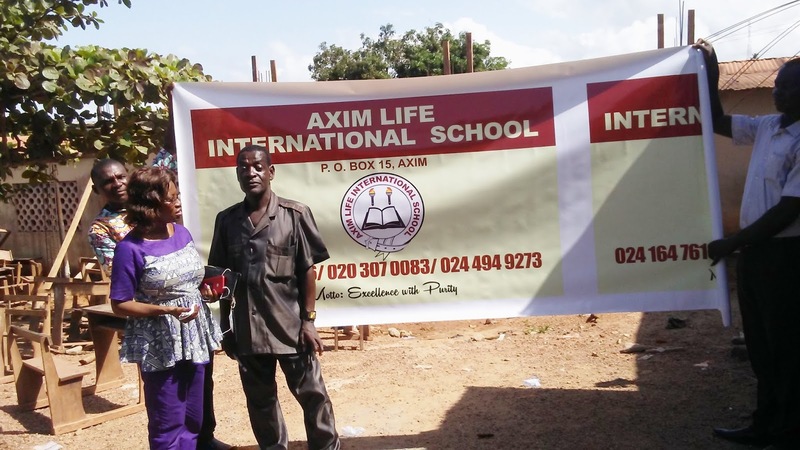 What a loss to the Axim community! Nana served on the Western Heritage Board since its first day. She was a co-signer on all WHH bank checks. 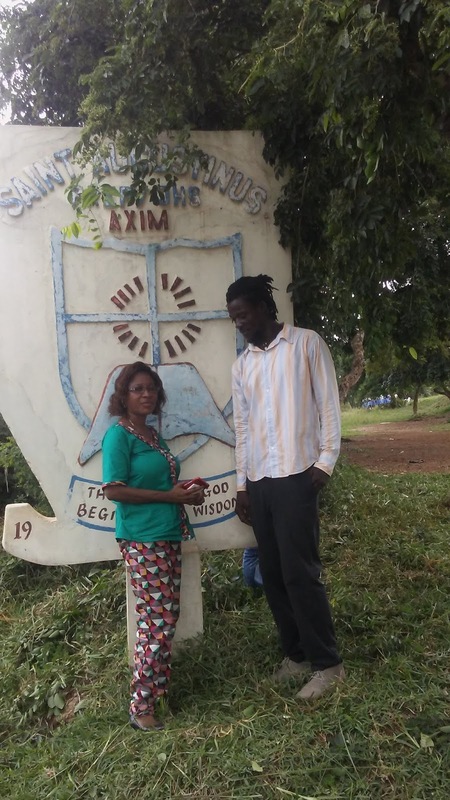 Because of her knowledge of the Axim community and families, she was crucial in helping select our scholarship students. Nana, second from left in rose-colored dress, with James' arm affectionately on her shoulder. She was part of the Western Heritage Home NGO team from the beginning. Nana with her beloved Nyame quilt, made for her by Ghana Together's Jerome Chandler. The symbol in the middle is the traditional Ghanaian Adinkra symbol for God. It is revered and found widely on buildings, windows, clothing, etc. Interested especially in girls’ education and maternal health, she was proud of her role in creating a purpose-built maternal health center at the hospital. She counselled innumerable girls, and a few guys, too, in how to wisely handle the mysteries of human reproduction! 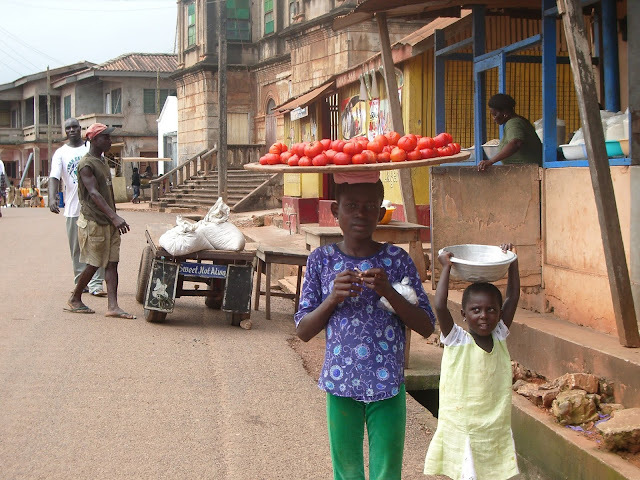 Students, especially girls from the Axim Girls Senior High School, use the path past her simple home and market stand as a short-cut on their walk to school. 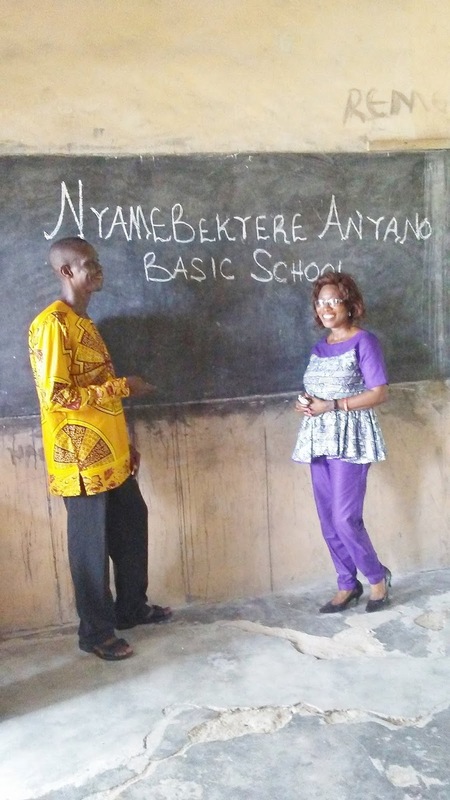 She knew the students and never failed to encourage them in their studies as they passed by. She tried hard to gather the region’s Queen Mothers on a regular basis, to work together especially for women and children’s issues. She was highly respected in the community. She and Maryanne Ward of Ghana Together became friends over the years. All of us of Ghana Together knew and respected her and we will miss her. 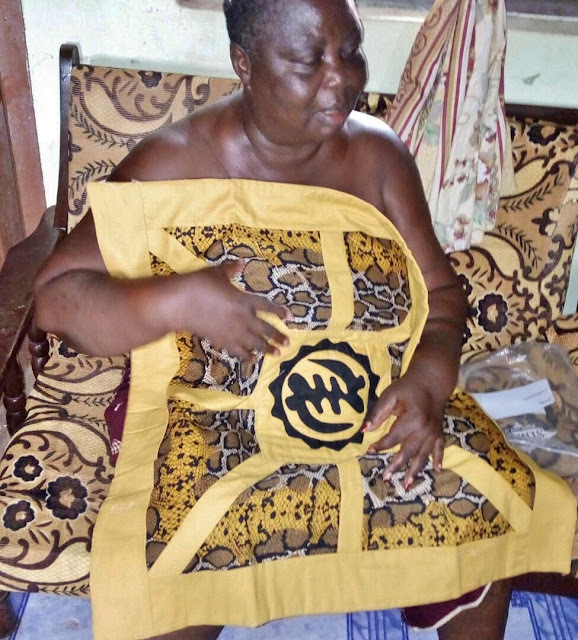 Nana and Ghana Together's Maryanne Ward having a nice conversation in May, 2018 in her home. Good friends! On other news, we are delighted to report that Western Heritage Home Scholars Kingsley Lamin and Peter Assuah have been accepted at Takoradi Technical University. They began classes on Oct 1---Kingsley in Advanced Welding/Fabrication and Peter in Computer Science. 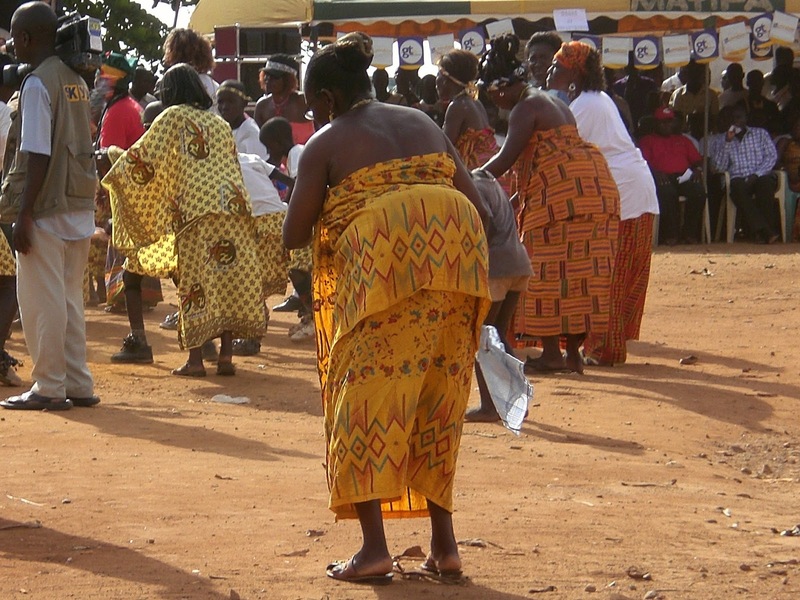 Remember the Heritage Building, which Western Heritage Home began building, and we joined in to help via the Seattle-based non-profit Global Citizen Journey and the Boeing Corporation…before Ghana Together was even in existence? For about 5 years or so it was a Children’s Home. 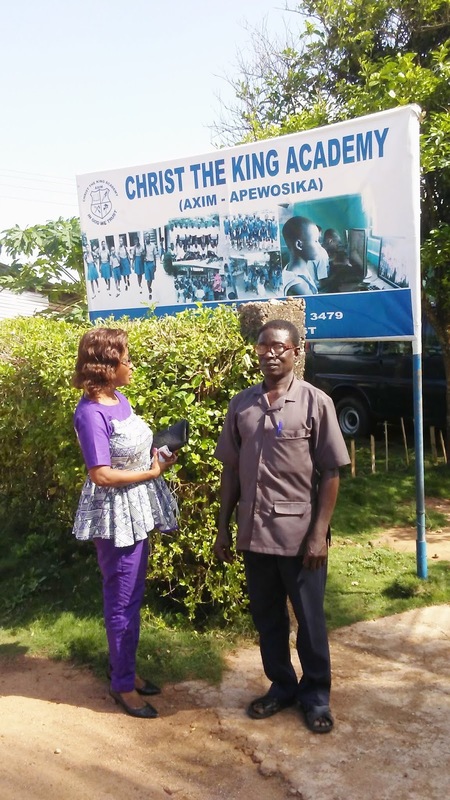 Then, when the Ghana government closed children’s homes, it became a dormitory for girls attending the then-new Axim Girls Senior High School. 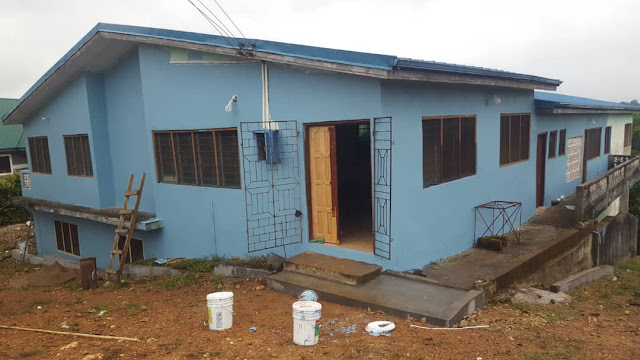 Now, the girls’ high school has its own dormitory, and WHH has found a new way to help the community. 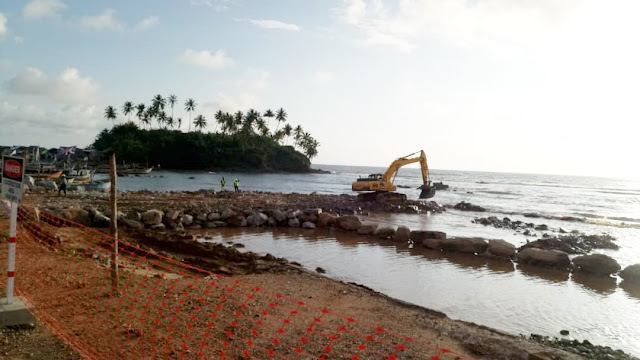 The Heritage is now a hostel for workers putting up a new seawall to protect Axim from the rising ocean! This is at least a two-year project. 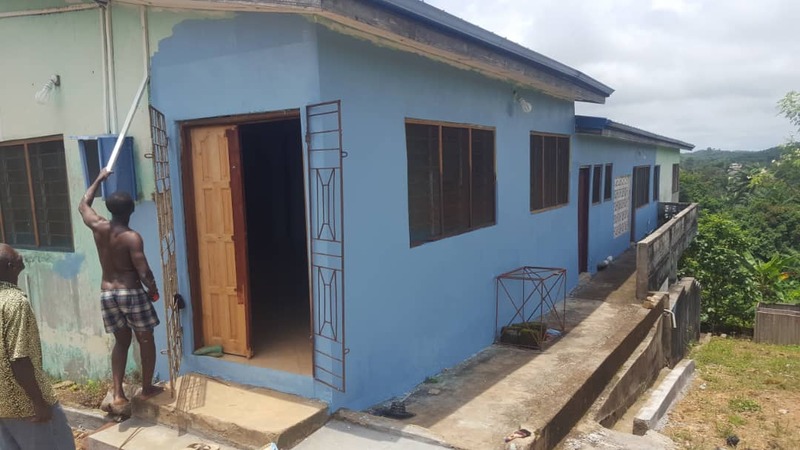 This is a great use of the building because Axim is rather isolated, and there is really no other accommodation within reasonable distance of the shoreline for the 25-30 temporary workers. They travel to the seawall area by a short bus ride provided by the contractor. 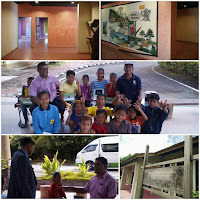 The contractor has provided a caretaker to clean and maintain the building. WHH has used the initial rent funds to paint the building inside and out, repair the roof, and repair some of the windows, etc. on the inside. They plan to modify the inside with more partitions, to better accommodate the workers. Longer term, they will use the rent funds for their charitable projects in the community. And, thanks to Barry and Regina, Ebby Mienza, George Hayford, and who knows how many other generous folks, there are another 969 children’s books at the Axim Public Library, ready to go out to 17 schools via the tricycle/mobile library. Those kids are going to learn to read no matter what! Unpacking the boxes of books, readying them for delivery to 17 primary schools, via the tricycle-mobile library. And that's it for this time! 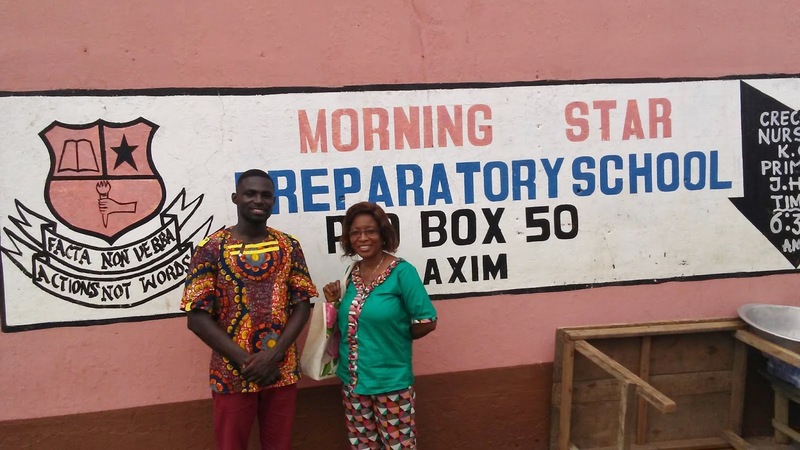 Thanks to all for helping with scholarship funds, AND for donating, packing, shipping, and delivering the books to the Axim Library! Whew! And thanks to the Western Heritage Home folks for all the work involved in turning the Heritage building into a hostel for construction workers. 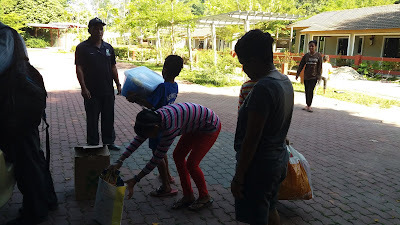 Not so easy and a real community service! Lots of drumming, with guys in funny costumes! BUT, now it’s time for school. Time for you students to do your part, yes! And you will LOVE it! After all, your country is trying its best to get you all educated. As of this year, Kindergarten through all three years of Senior High School is tuition-free and boarding if warranted. Your schools are jam-packed! But we know, for some of you, help is still needed. We thank our fellow "investors" and our dedicated Western Heritage Home colleagues who have made it possible for these 71 students to go to school. OK kids!! Now it's up to you!! Update: Andi's slides are posted here. The recoding is also up on YouTube here. 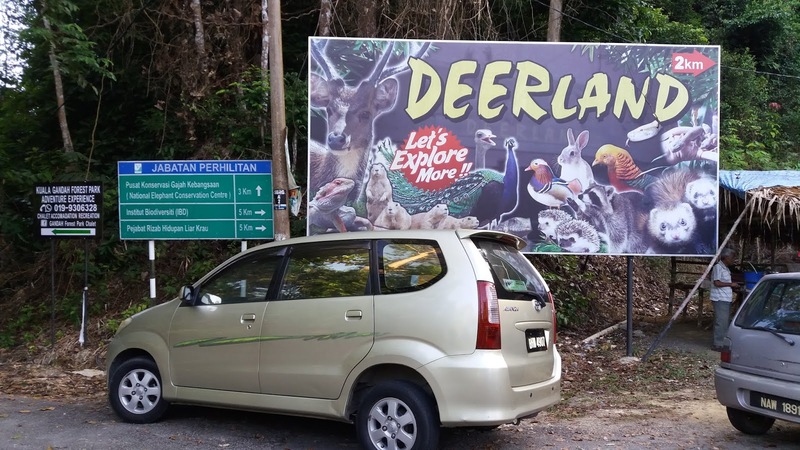 The last blog I wrote was in January, 2017.It has the title "dLEAP into 2017". A year and half later I am updating this blog with an entry "dLEAP in 2018". Happy to say that no news is good news - there has been progress over the year. 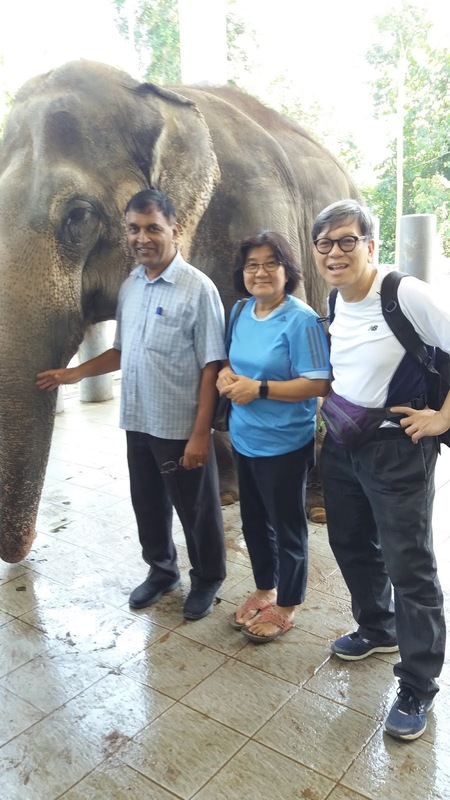 Volunteers and I was back in July 2017 to follow-up the CheWong kids who lives in the surrounding areas of the Elephant Sanctuary. In my last 2017 blog I reported that we replaced all the older XO in the hands of the CheWong's children to XO4. Bags were purchased and they were reminded to keep it clean. Our surprise visit confirmed that they were indeed keeping it real clean and using it regularly to our delight. 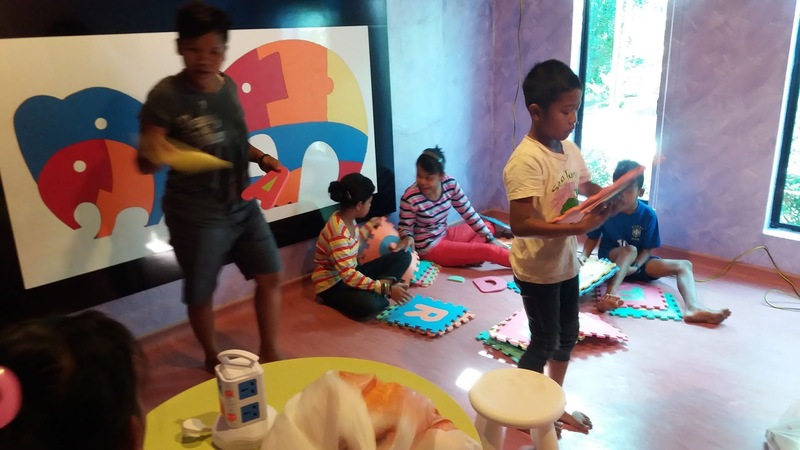 Thanks to the good public relation by a local volunteer we were offered a newly painted room in Elephant Centre (EC) as resource centre for the children. It is also an educational public space for visitors to EC. On August 12, 2017 last year we had the children of dLEAP to participate in the World Elephant Day. 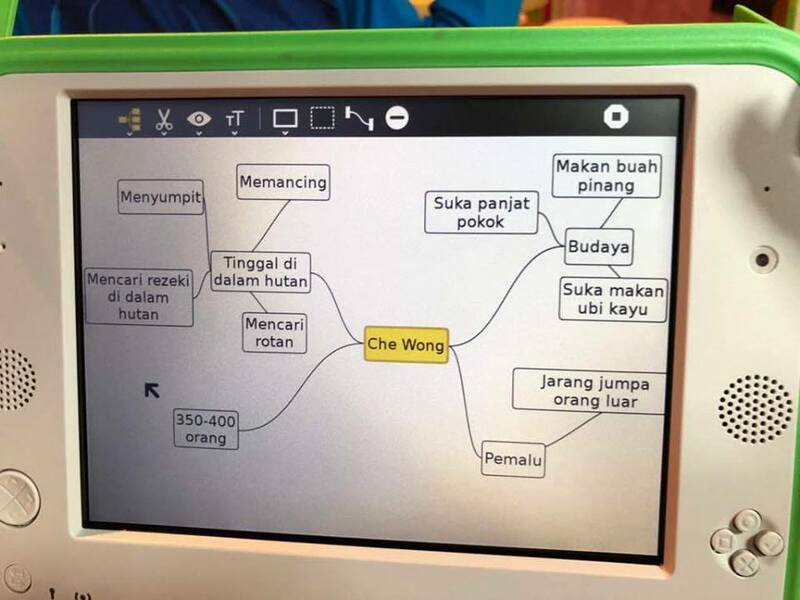 A simple Scratch game written by a Hong Kong 12 year old kid and downloaded to their XO4 were shown to visitors. 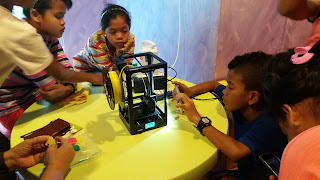 Kids from a surrounding school was entertained to what they could do with the XO4. 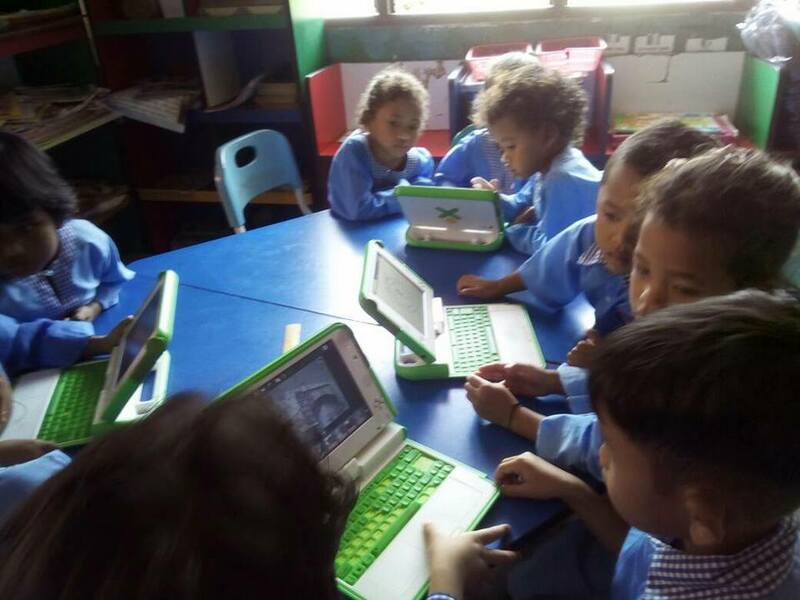 These students envied what the CheWong's children were able to do with 1:1 laptop ownership. Yes, we hope to do another event for August 12, 2018! To reach out to new children and even smaller children we piloted leaving a few XOs to a kindergarten to the delight of the 4-6 years old children. They were using it almost immediately and was very proficient a month later with no support. 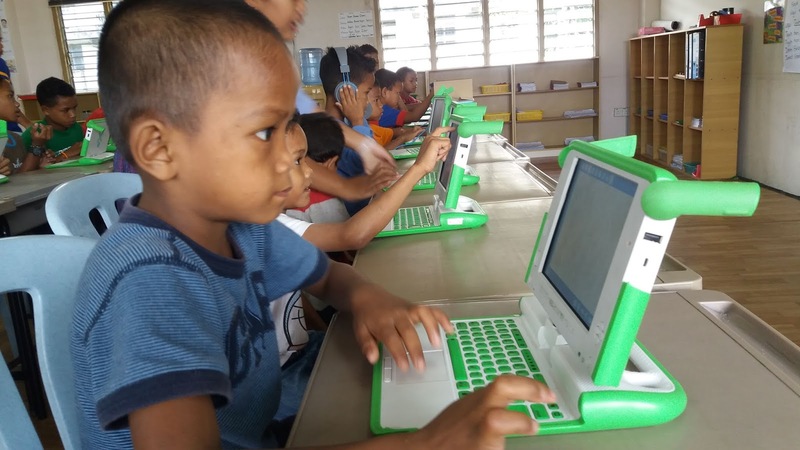 Work is in progress that we will get each children their own laptop by the end of 2018. 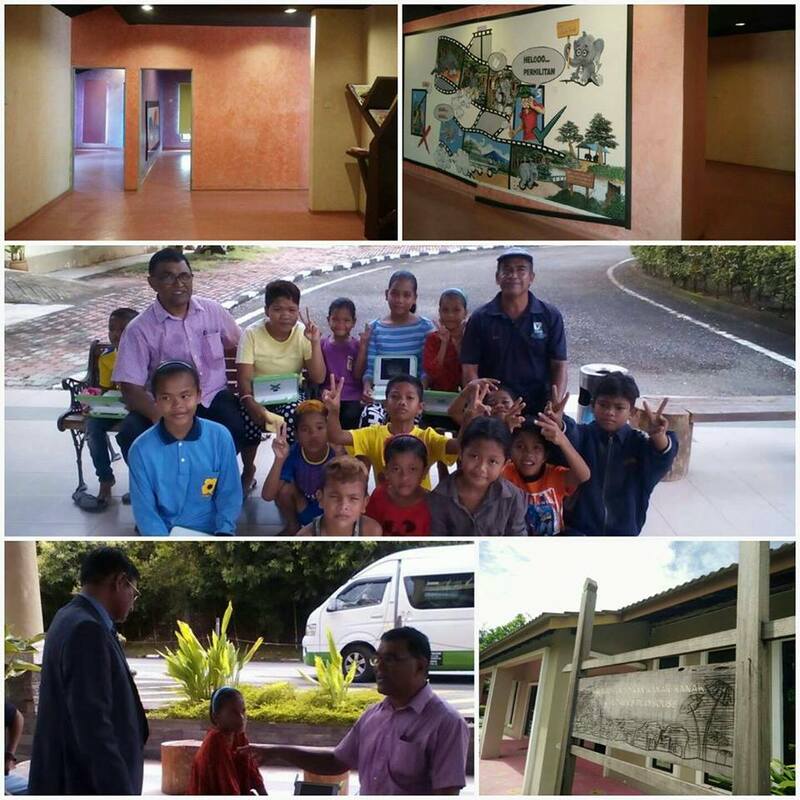 Hence this pre-school will become a 1:1 kindergarten and will serve both very young CheWong children and Malay village children. 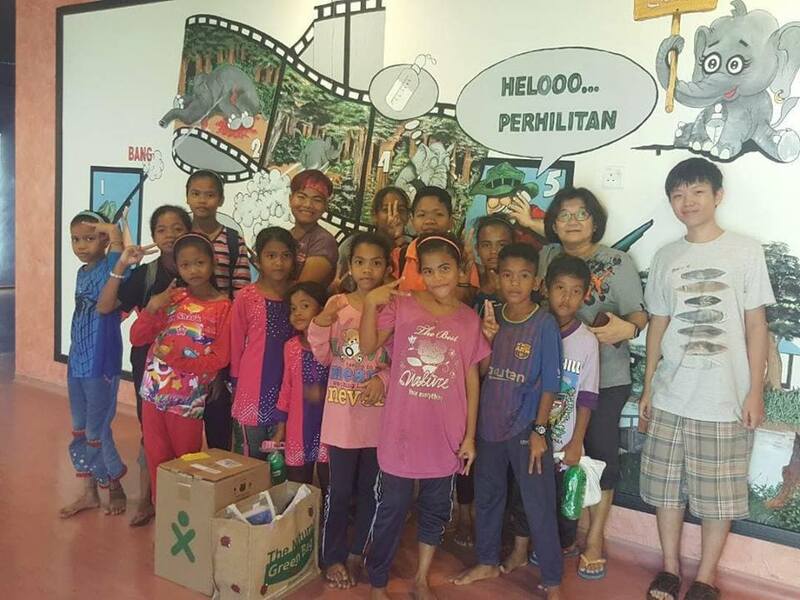 We have been supporting the CheWong kids for four years now. They have grown up alot since then. 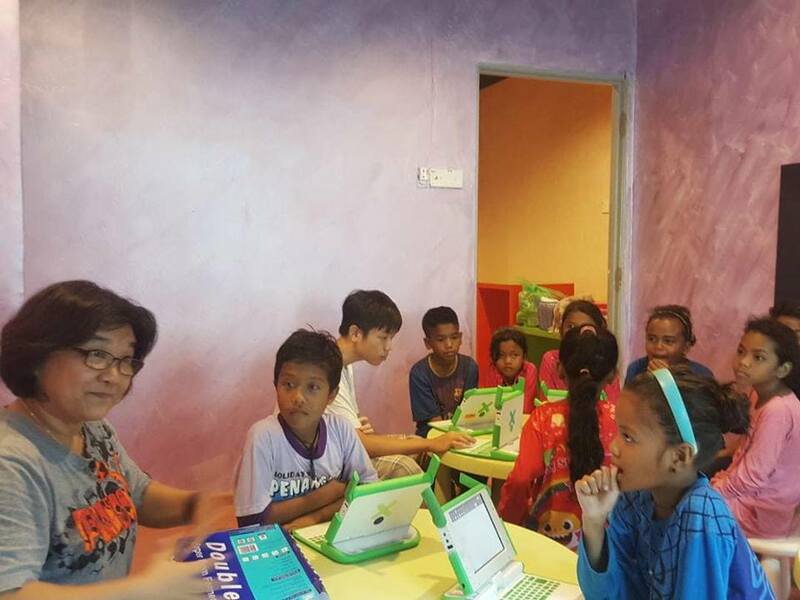 A local volunteer who is a teacher recently introduced the mind-mapping activity to these children. 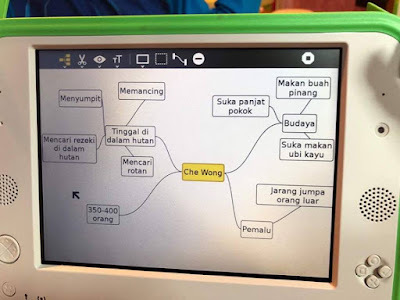 A kid took the opportunity to describe CheWong tribe: 350-400 people remaining, permalu (shy) people, lives in jungle and make a living with "rotan" collection, etc. It was insightful and they also made mind-maps to describe who they are as a person! 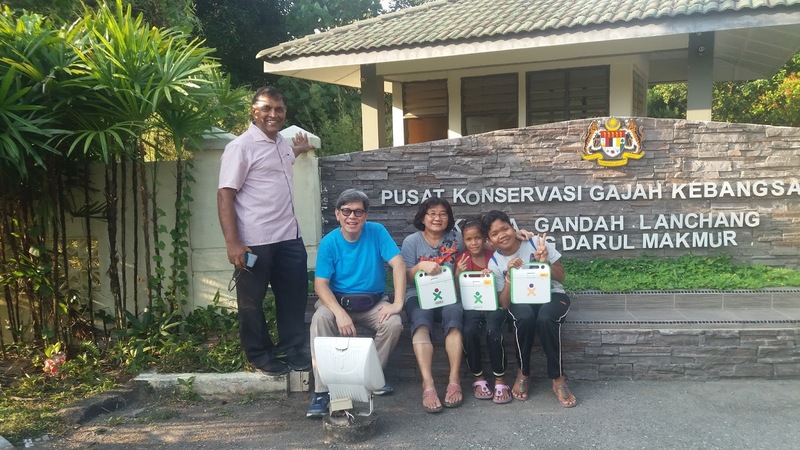 In another front some good progress is coming out from a small pilot of XO4 with another local volunteer who is based in Sarawak. 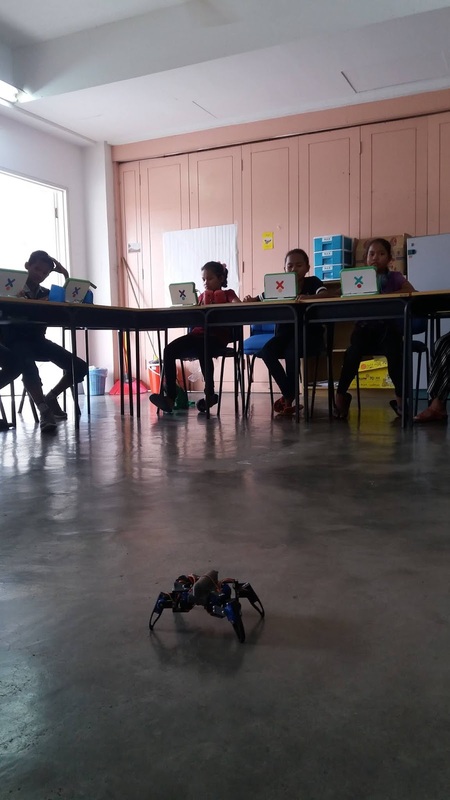 As an academic and computer scientist he is engaging development of local support resources. I was sent this link on their development and even had a video of their pilot test session. So the progress from 2017 into 2018 has been good. 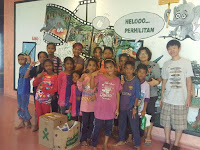 It will be 5 years since Basecamp2013@Malacca was organised. We were lucky to attract participants from all over the world. 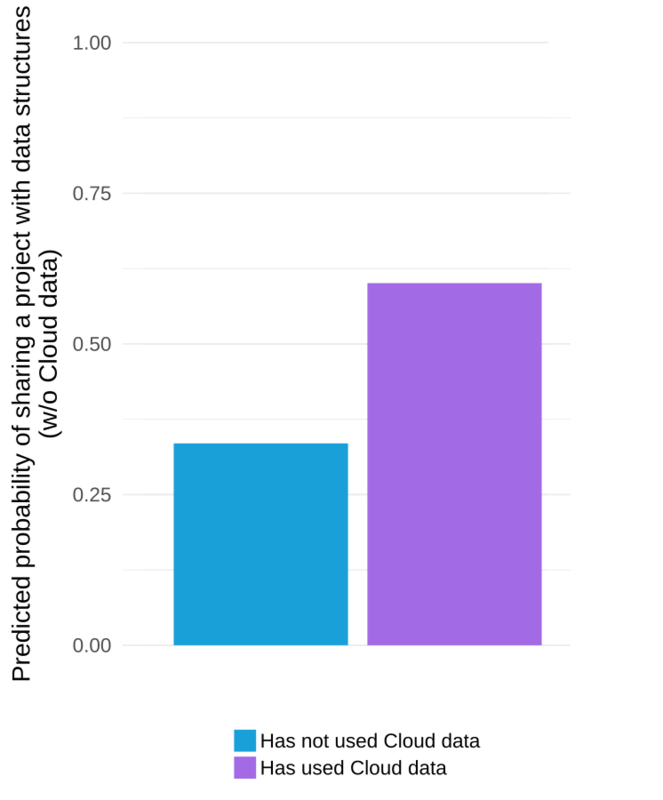 Will there be a Basecamp 2018? I have sketched of what could be possible dates in August for synergy in Hong Kong or/and Malaysia. 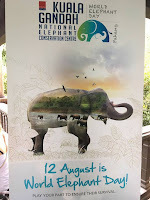 It has been a tiring 5 years but rewarding when you see children and kids getting the opportunities. For basecamp2018, this is a vapour idea more than a month away. If it happens it happens! Our last News Update was so satisfying for us---Graduations! Missions accomplished! Young people launching the next phase of their lives! AGSHS became “certified” as an accredited senior high in 2012. 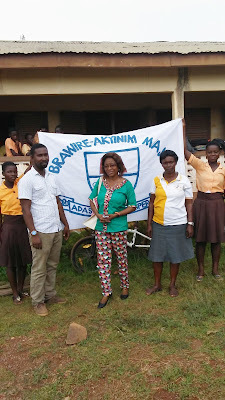 We published a News Update about it back then: http://ghanatogether.blogspot.com/2012/05/axim-ghana-all-girls-senior-high-school.html. 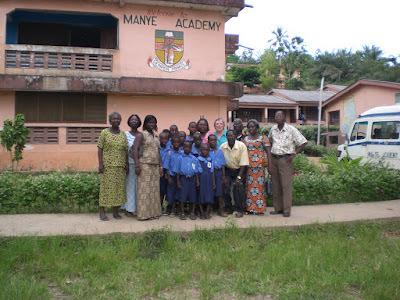 We’ve helped the school a bit over the years---some science resources, scientific calculators, “Science News” magazines, internet-in-a-boxes, a few scholarships, renovated a building to be an assembly/dining/meeting hall, and repaired the damaged school bus. 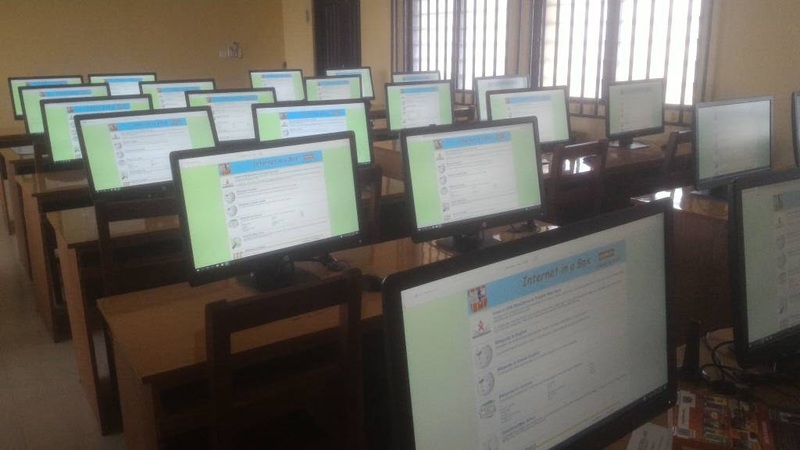 The Tullow Oil Company came through with 2 classroom buildings, a 200-bed dormitory, and two computer labs. By September of 2016, the Axim Girls Senior High School had 88 new first-year students. Each student paid hefty fees for tuition, books, lab fees, supplies, and room and board….beyond most families economically…especially for daughters. Then…WHAT A CHANGE! The newly-elected Ghanaian government implemented the long-held national dream/promise to focus on education—for sons AND daughters. It started funding “free” academic senior high school for newly incoming freshman---even including room and board if needed. What a change! AGSHS had 210 new first-year incoming students in September 2017! 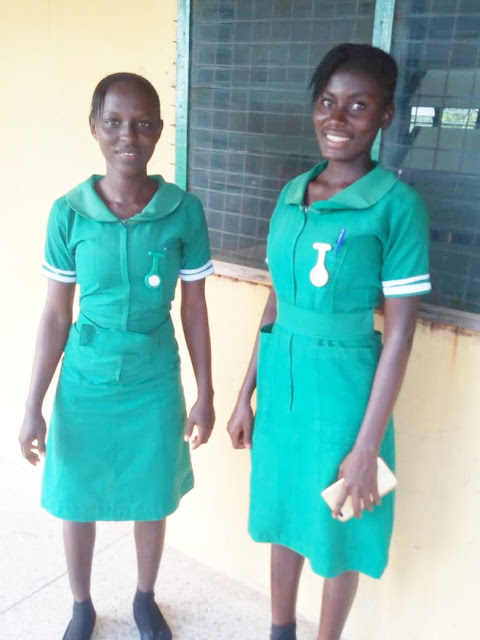 The “free” SHS has now extended to all three years. 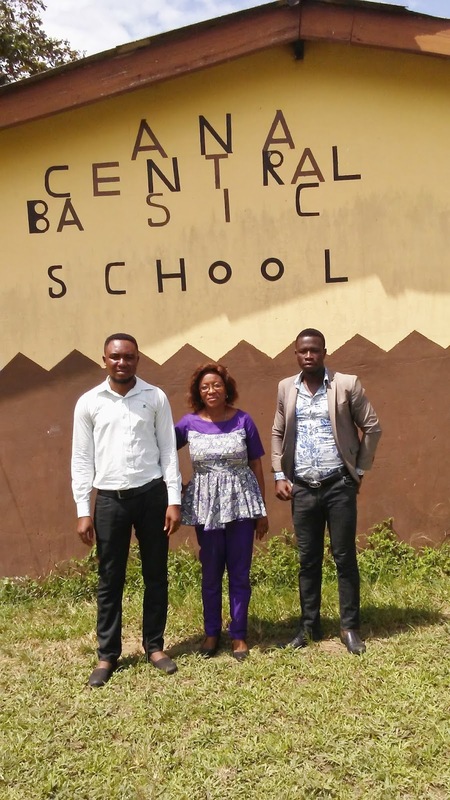 So, when Maryanne Ward visited the school in May 2018, there were just over 350 students in the entire school. More than 500 are expected in September 2018! We are hoping/praying that Ghana can somehow keep this all going…not easy. 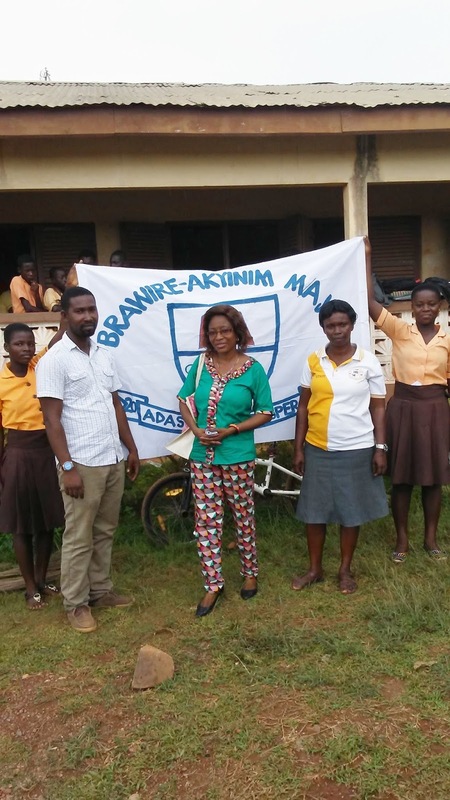 What a challenge for Principal Madame Theodora Appiah and her staff! To go from 23 students to more than 500 in not quite 10 years! When Maryanne asked what she needed, Madame smiled. 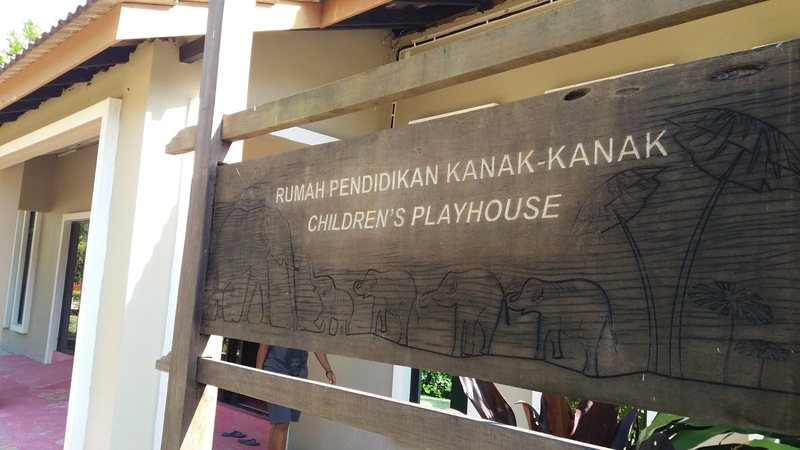 ---How about a new dorm for 500 girls? Completely furnished! And yes, with modern toilets, showers… and please throw in a completely reliable source of water! ---Always-on electricity would certainly be welcome! Well, all that was a bit beyond our bank account, but we did settle on Mrs. Appiah’s TOP PRIORITY…a...PHOTOCOPIER/PRINTING MACHINE. Yes! 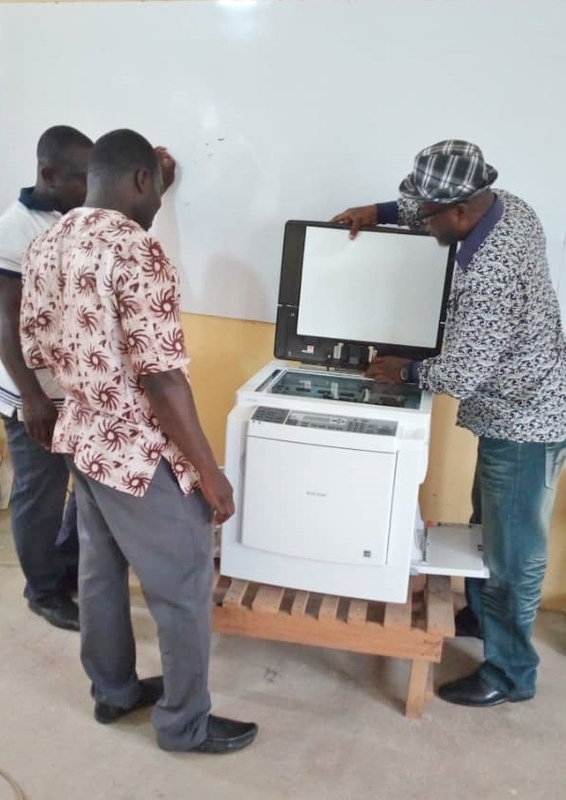 That we could manage, so...our Ghanaian Western Heritage Home Operations Manager Evans Arloo traveled to some schools to check on their machines, and to the city of Takoradi, and here we are...in time for the September start of the 2018-2019 school year! How does this thing work, anyway?? Wow! 21st Century Technology Coming to good old Axim!! Principal Theodora Appiah and Her New Machine! Thanks you all! And, well, if you know someone who can help her with all the other stuff, you know who to contact! Remember those Western Heritage Home Scholars(? )…the ones we’ve written so much about over the years? Well, as of about a week ago, SIX of them have graduated! 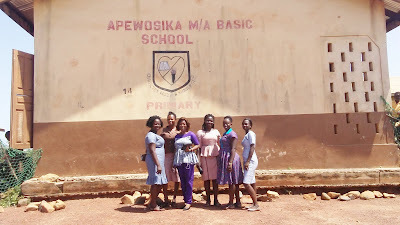 And we are pleased to give each of the four senior high graduates the “Leif Pederson Graduation Award” in the amount of $300 US --- about 3-4 months income for basic work in Axim, Ghana. 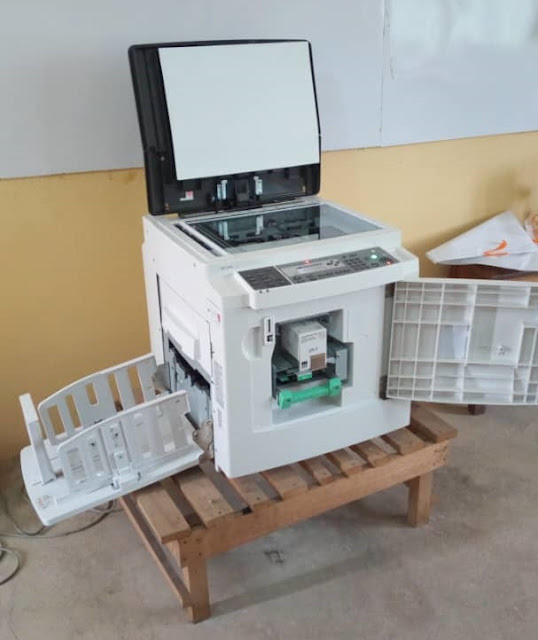 We lost Leif, one of Ghana Together’s founding members, in 2010, but the children remember “Uncle Leif”, and his computers and just his fun ways with them, and we know he would be so very proud of them. 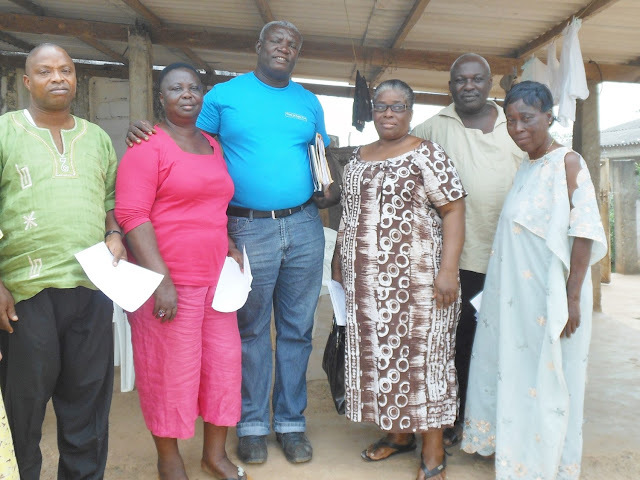 We got to know all six because they spent their early years living in the Western Heritage Children’s Home. Western Heritage Home, our associate NGO in Ghana, and we have supported these young men and women in one way or another since 2007, so yes, we are proud of them! 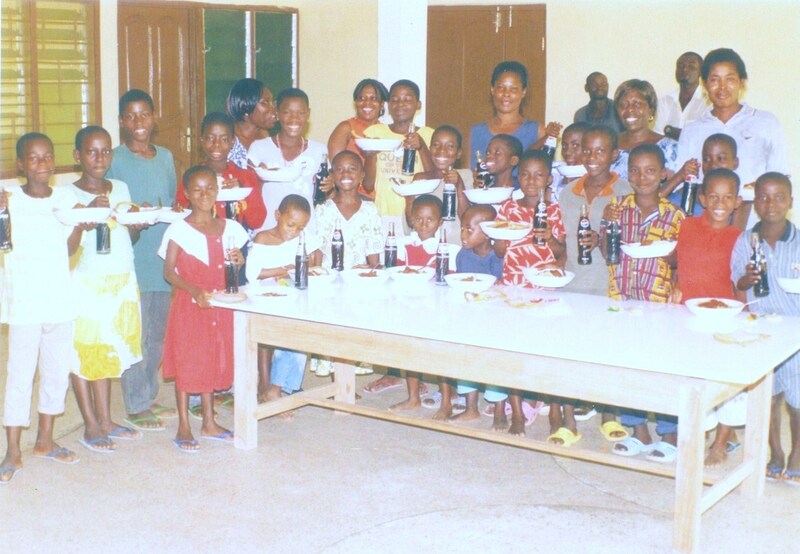 Western Heritage Home Children in 2007. Our newest graduates are somewhere in this pic! 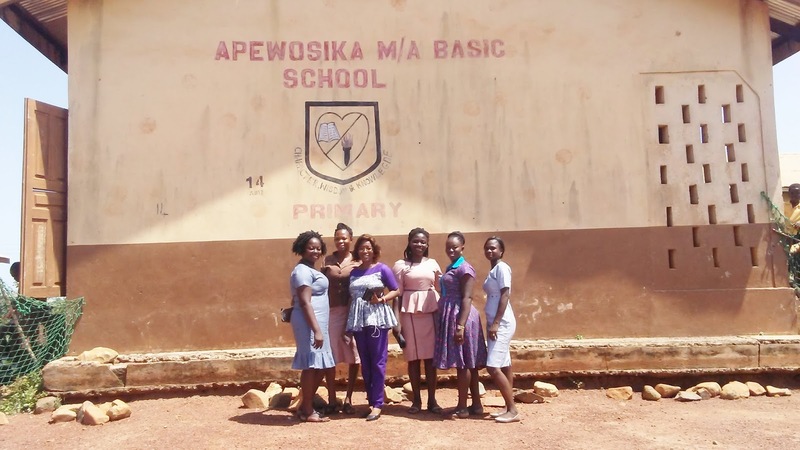 Dorothy has graduated with an Nursing Associate degree from the Asante Nursing School. 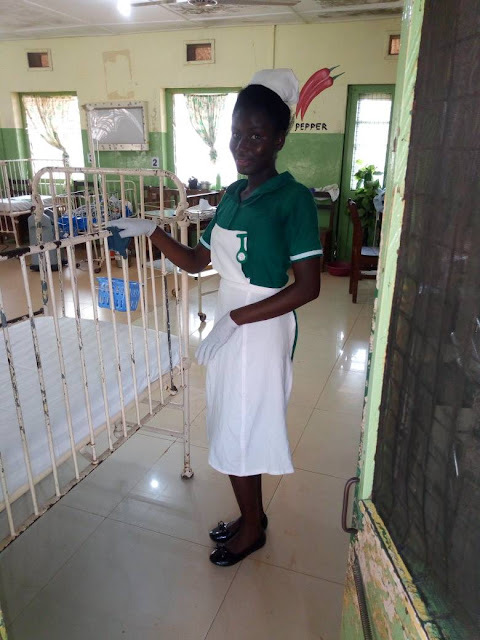 She will be placed by the Ghanaian Government in a locale needing medical staff in the near future. 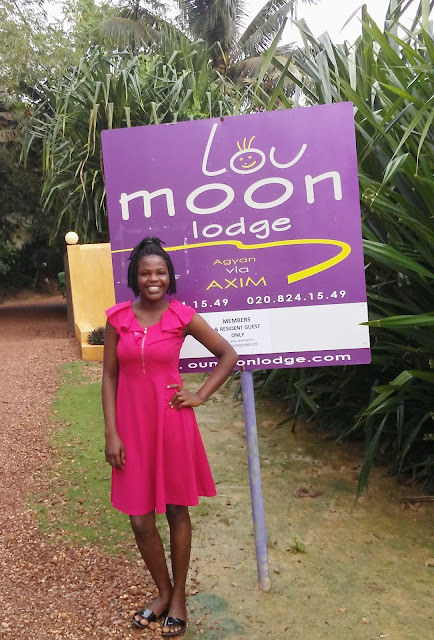 Meanwhile, she is supporting herself by working with the cleaning staff at the Lou Moon Resort not far from Axim. Peter graduated from Nsein Senior High School. He took all the "extra" classes in science and math, and dreams of becoming a computer engineer. 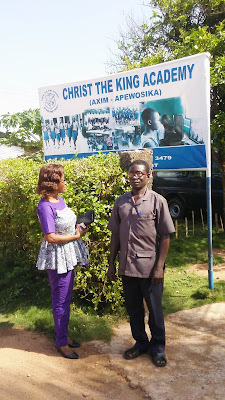 His WASSCE test scores (like our SAT) will be available in September. Meanwhile, he is considering offers for two teacher positions (math and science skills are scarce and so even at this stage he can help younger students) and/or a position in a bank until his future educational plans materialize. 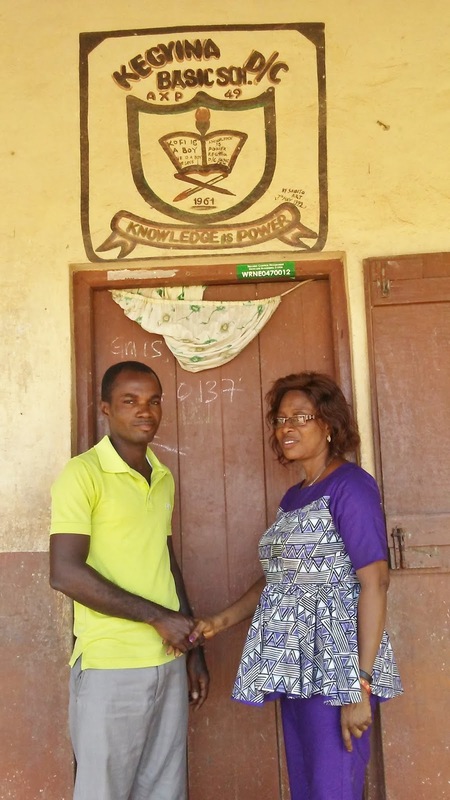 Kingsley has graduated from the Axim Community Development Vocational and Technical Institute. He has specialized in Welding and Fabrication. He has done some apprentice work, and his training at CDVTI included business and computer skills, English, and entrepreneurship as well as training in his technical specialty. He is looking for a job! Godwin has graduated from Manye Junior High School. He will next attend Kikkam Technical Institute, which offers a wide range of vocational/technical classes for further training. We (and they) have so many to thank! 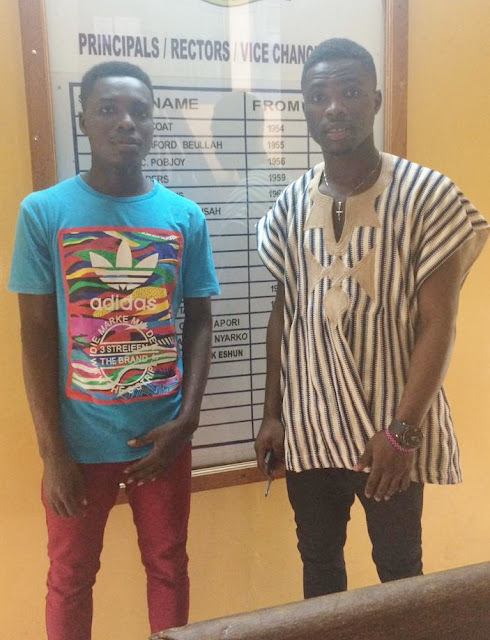 -James Kainyiah, Founder/Chair of Western Heritage Home, and Evans Arloo, WHH Operations Manager who managed the relationships with the schools, teachers and keep the program going, no matter what! 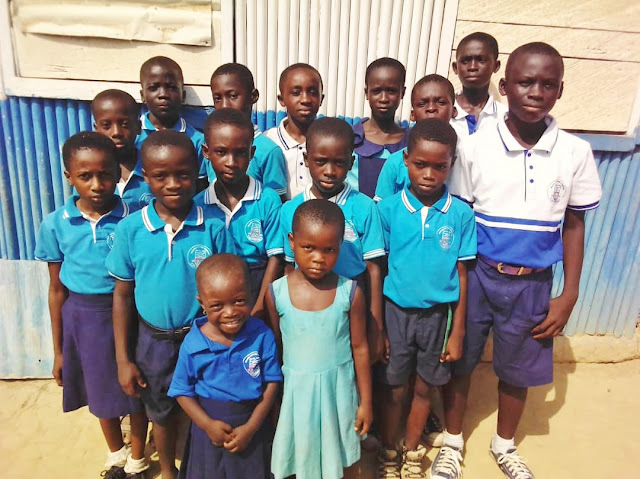 -And all of you wonderful “investors” who enabled us to support these children for their entire schooling, in one way or another. We give these new graduates our congratulations, and our confidence in them, and our best wishes as they launch their adult lives! AND, we're not done yet!! Come September and start of the 2018-2019 school term, we hope to support 70 students in one way or another. (Did we mention how much fun this is?) Stay tuned! 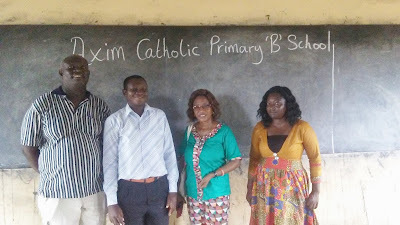 This May, Ghana Together’s Maryanne Ward visited Axim. For two days, she joined Regional Library Director Mercy Ackah and Western Heritage Home Operations Manager Evans Arloo as they reviewed the mobile library service with Headmistresses/Masters and Library Teachers at 17 schools. 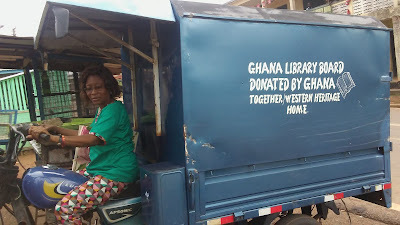 "Madame Mercy", as she is known, trying out the tricycle mobile library. No she doesn't drive it herself---she has Gaddiel Eyison, her library lead staff, to do that!! 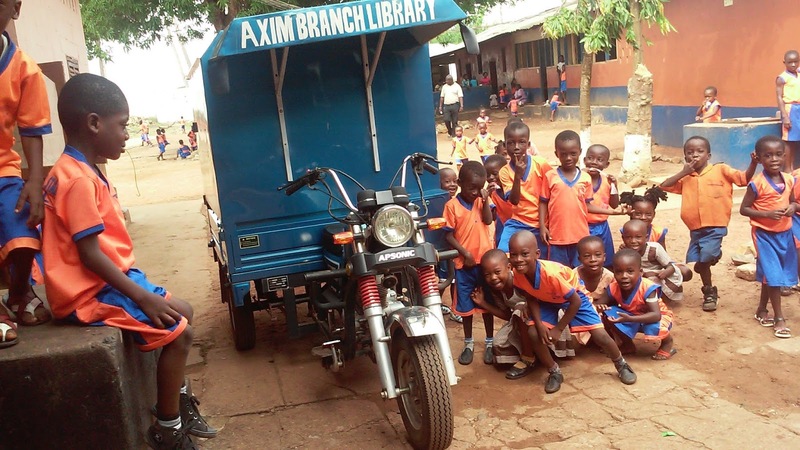 At the beginning of September 2014 school term, the tricycle-based mobile library was dedicated. 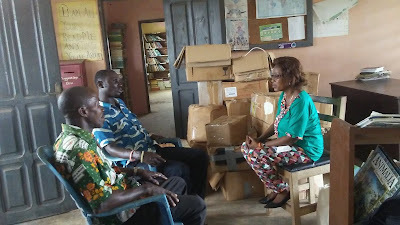 The library staff began delivering books to area primary/JHS schools. 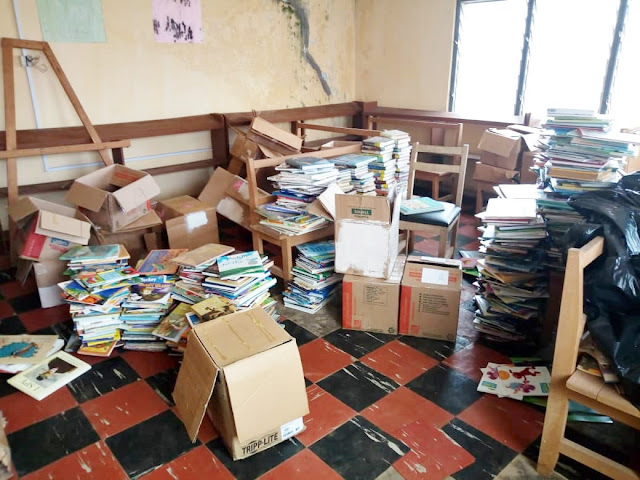 Ghana Together has provided about 8,000 high-quality children’s books counting those currently on a ship heading across the Atlantic! 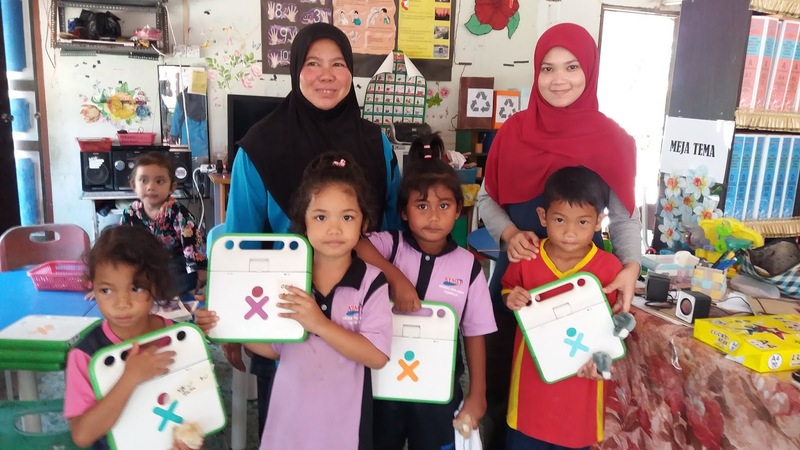 The mobile library program is geared to “bring the library to the children” rather than expecting the children to consistently visit the library. 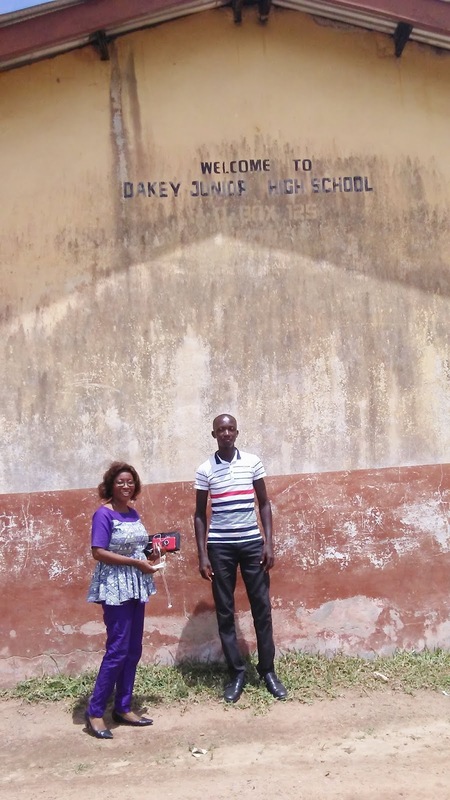 It visits each school once/per week, depending some on whether the District Assembly has helped fund the fuel. 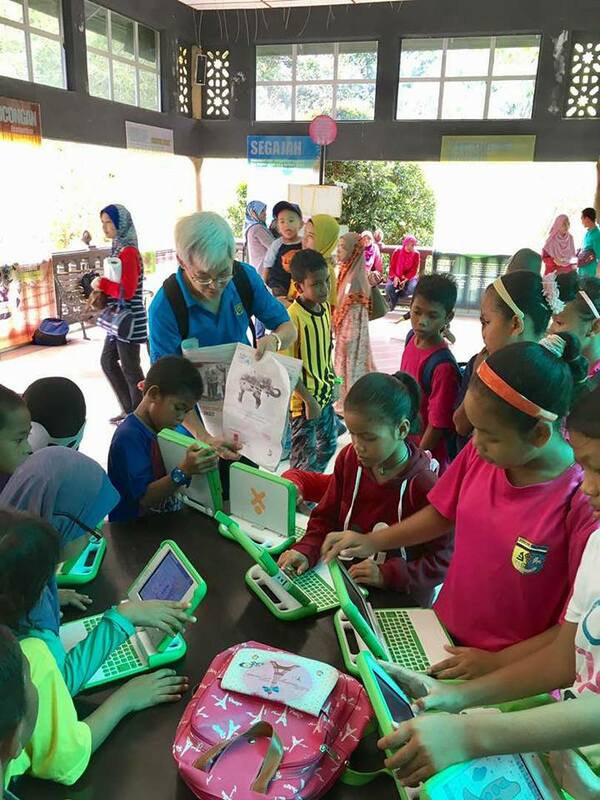 Since schools don’t have libraries or in many cases textbooks, this is a vital service to encourage literacy, especially for primary school students. 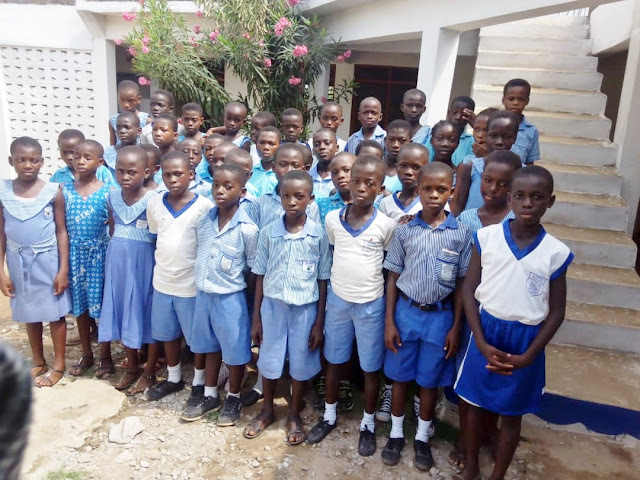 At the end of the Jan-early April term, 779 Axim-area students are registered library card holders, and the children had checked out a total of 8,622 books. We visited every school, met with the Headmistress/Master and/or the Library Teacher. We took photos below the "school sign" to document the visits! 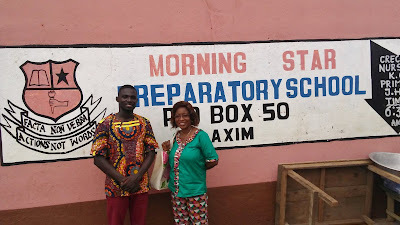 We thank all the generous Americans who have donated high-quality books over the years (...if it's good for your kids or grandkids, it's good for the kids of Axim!!!). They have gone from almost none to a good collection from the very beginner's books to a growing number for JHS level. We especially thank the Axim Public Library staff and the school leaders for working together to develop this program on behalf of children in Axim. 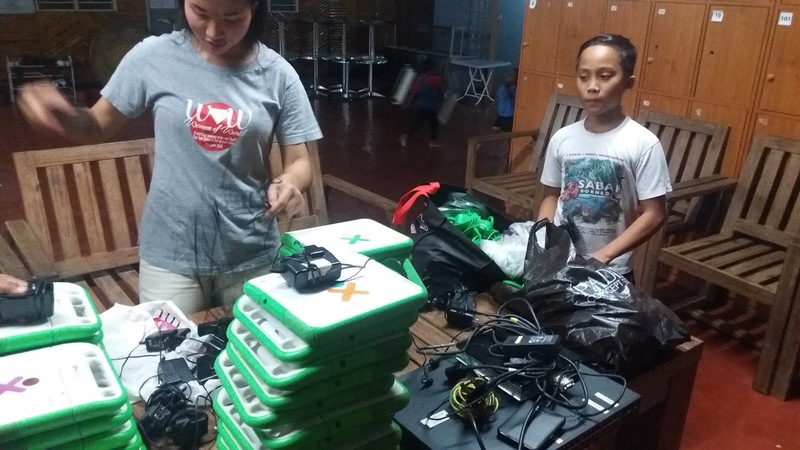 News and banter from the people working on the One Laptop per Child project, employees and volunteers alike. Reasonable disclaimers apply — this is an aggregation of people's posts about OLPC from their personal blogs, so it's a pretty relaxed environment. 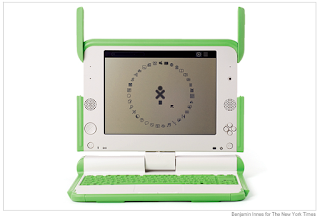 Views expressed belong to the authors, and don't necessarily have anything to do with the official positions or policies of the OLPC organization. Don't take things as gospel. Please don't sue anyone. In conclusion, things you see here are unofficial. These are not the droids you are looking for. To add a blog to the Planet, e-mail help@laptop.org.